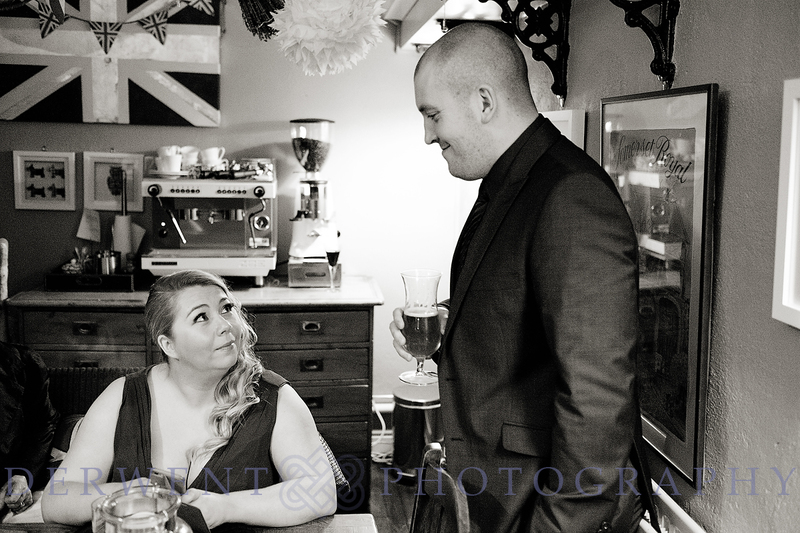 When Andrew first saw Zahara walk into his local, he was blown away. 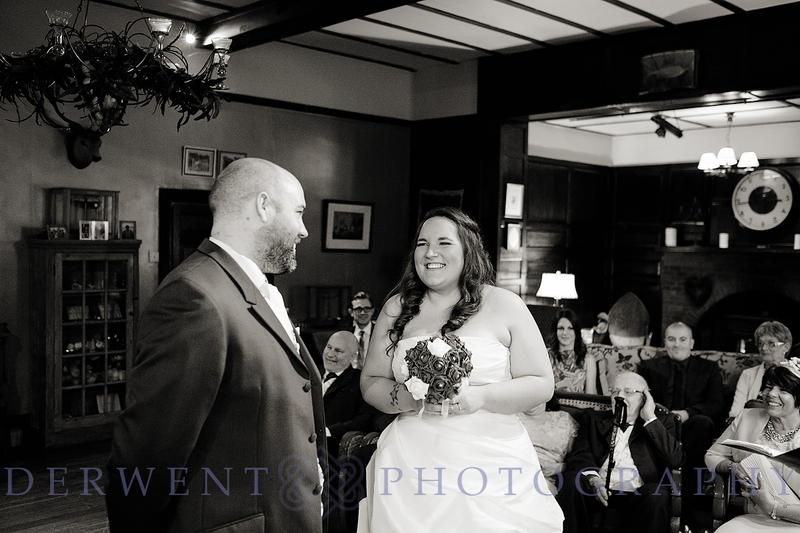 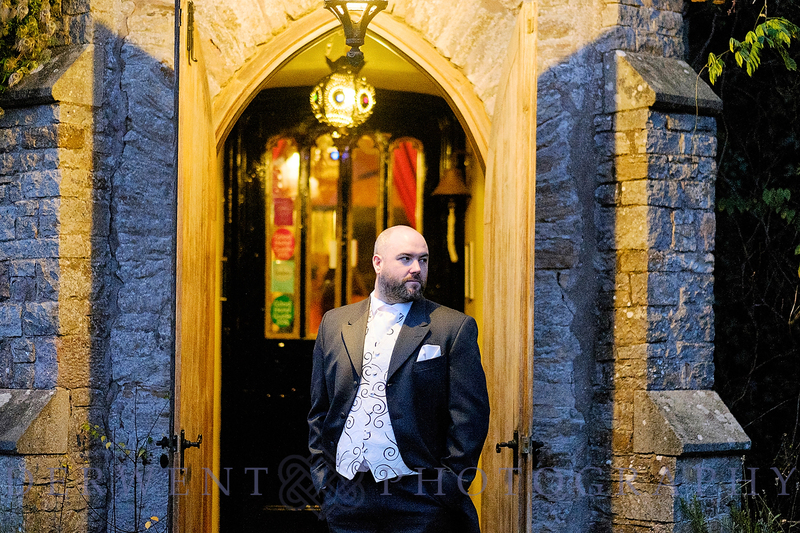 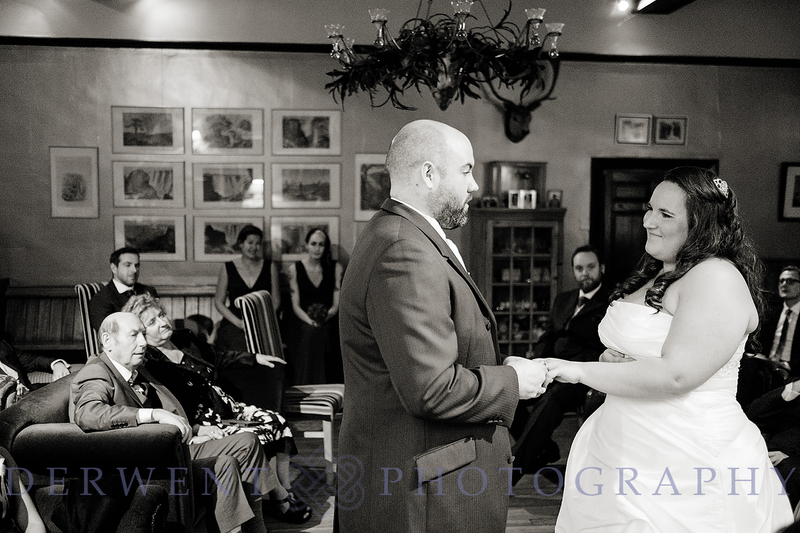 Luckily, his future wife felt the same and they decided to get married with a winter weddingat Augill Castle on the same date six years later! 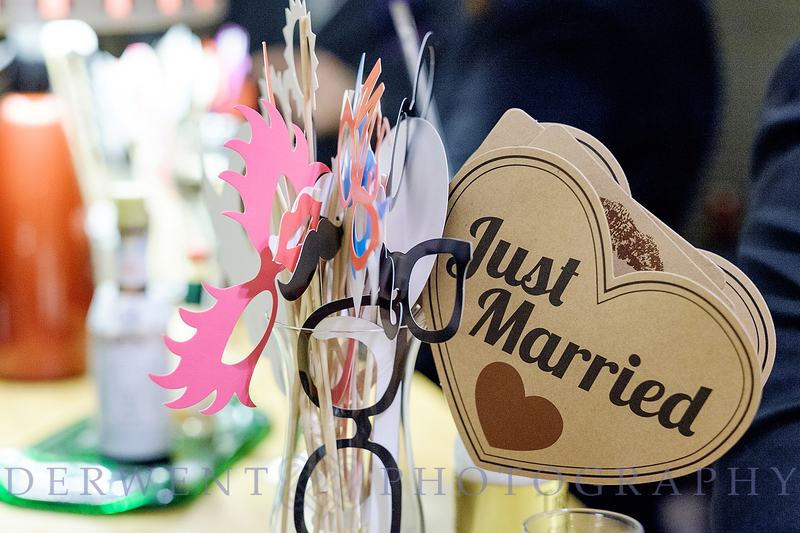 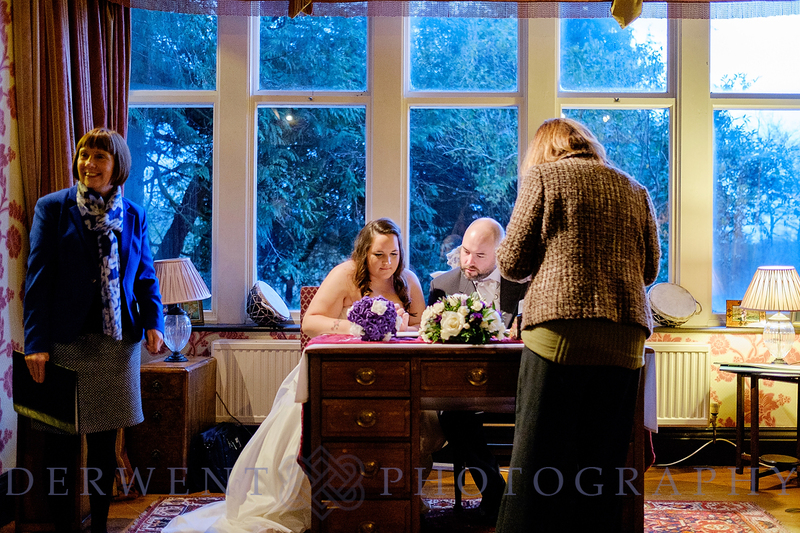 It seemed like a natural decision for the couple to get married in the Lake District. 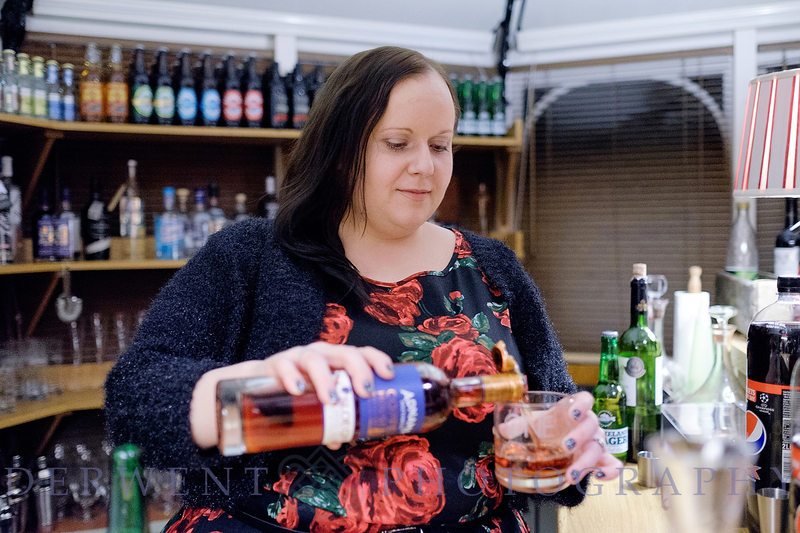 Zahara – who is originally from Germany – came to England when she was younger with her mum and brother, where they ran a pub in Greystoke. 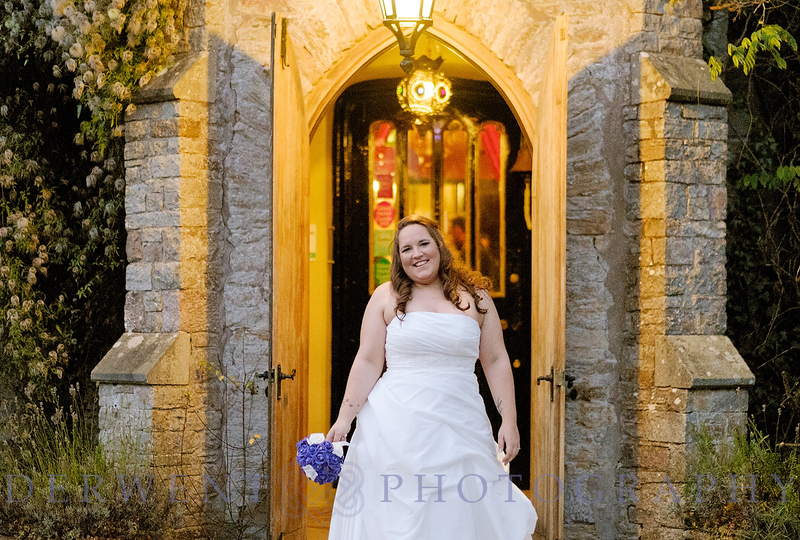 She loved the scenery and now it holds special memories for her. 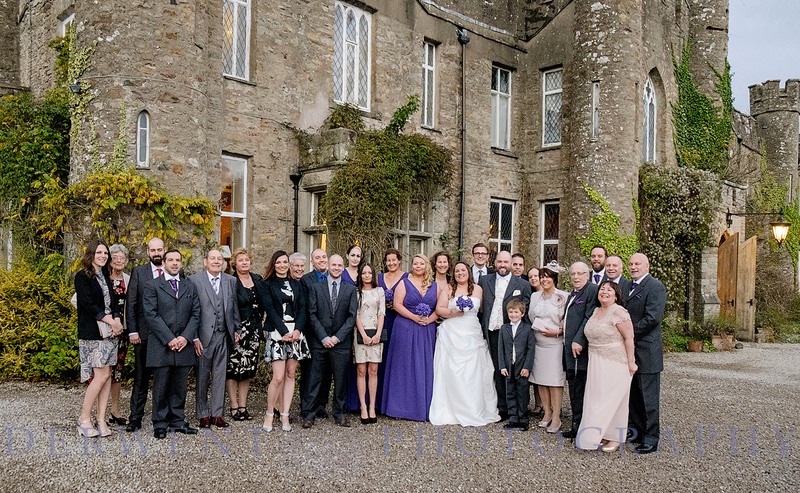 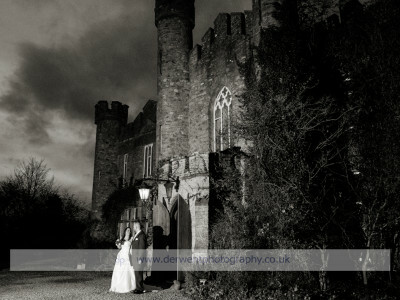 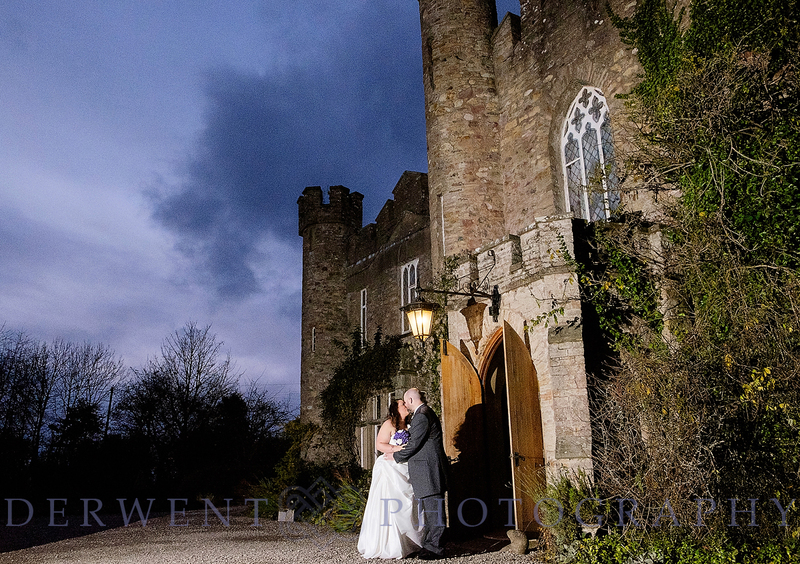 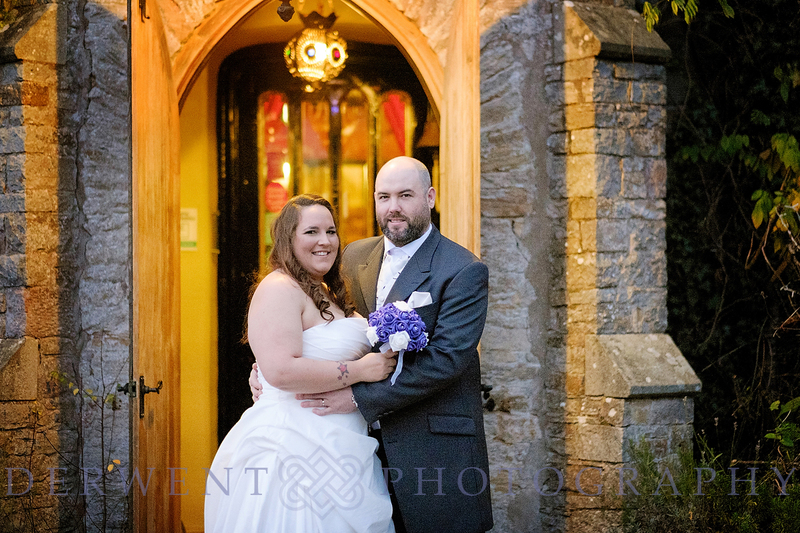 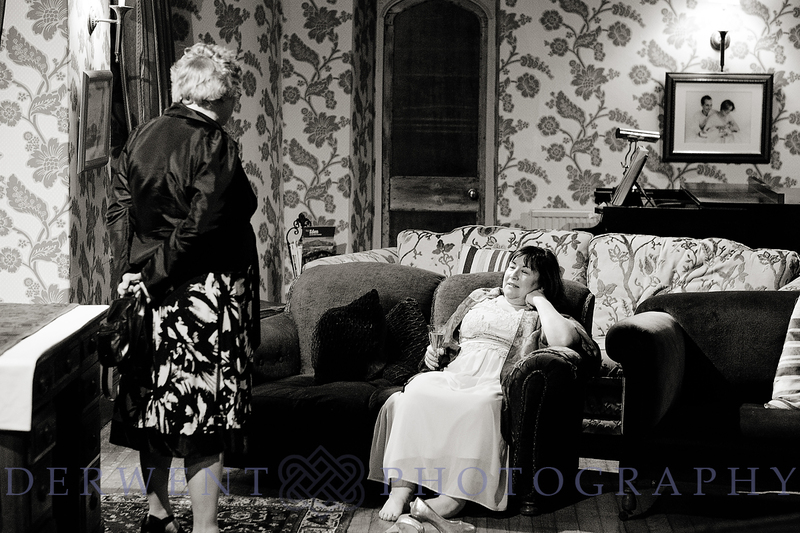 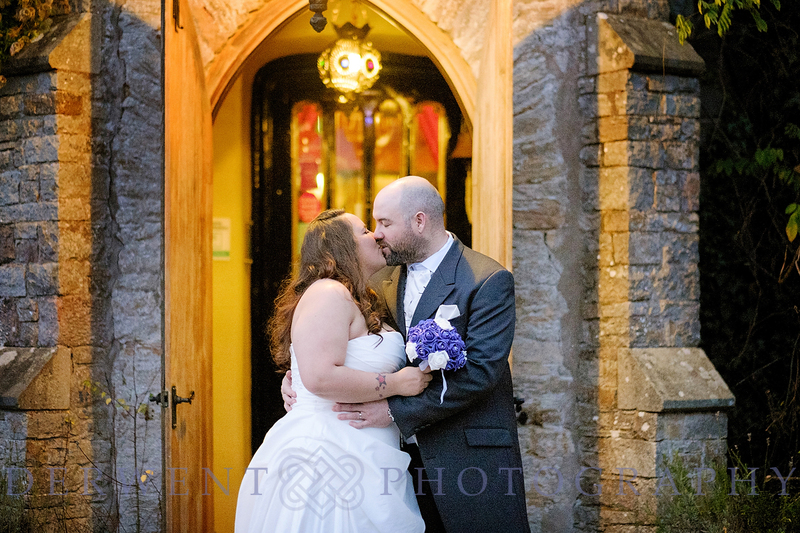 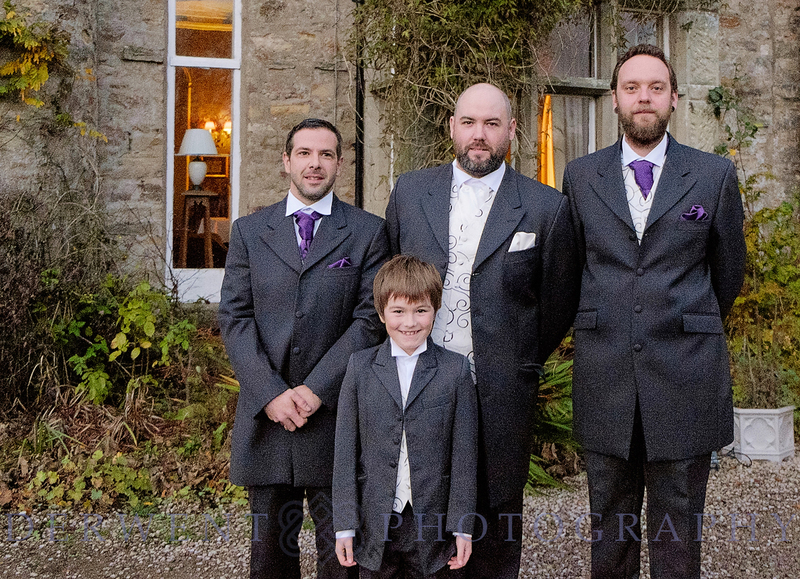 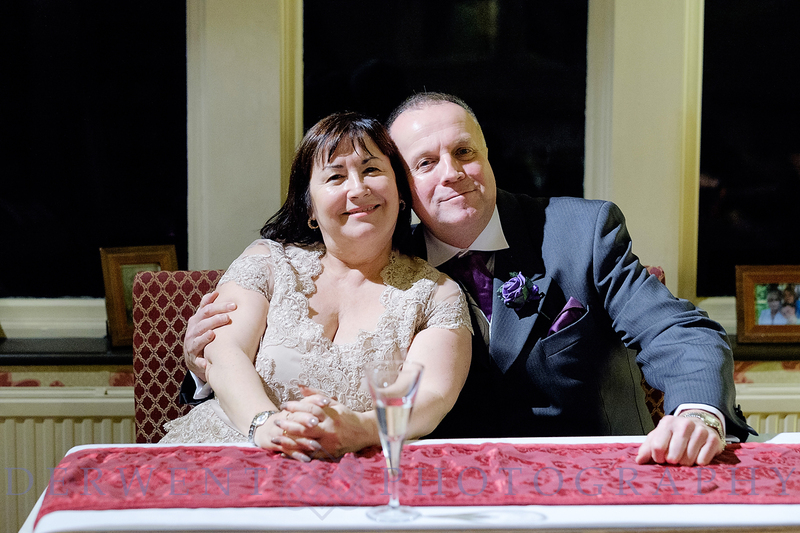 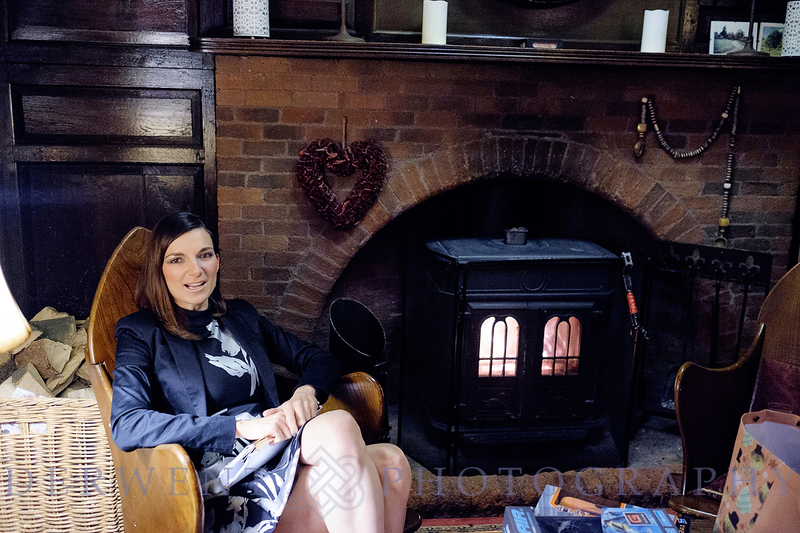 After visiting Augill Castle for a minibreak with Andrew, they knew this was their perfect wedding venue. 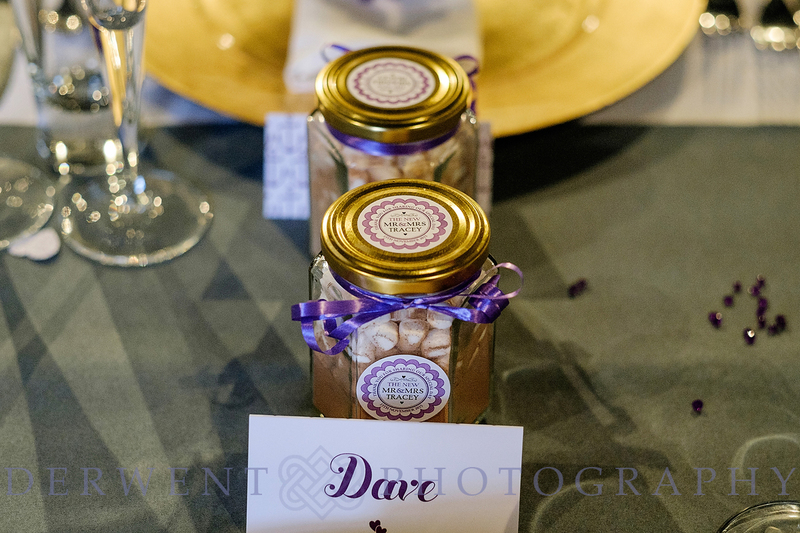 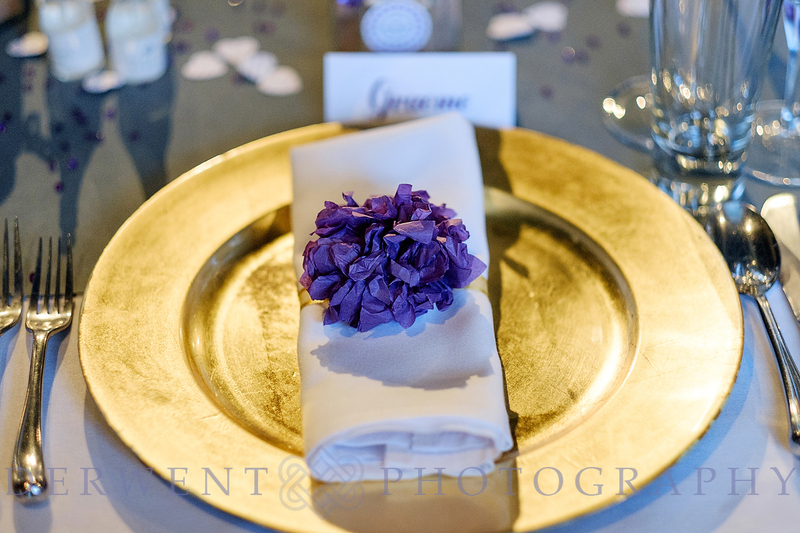 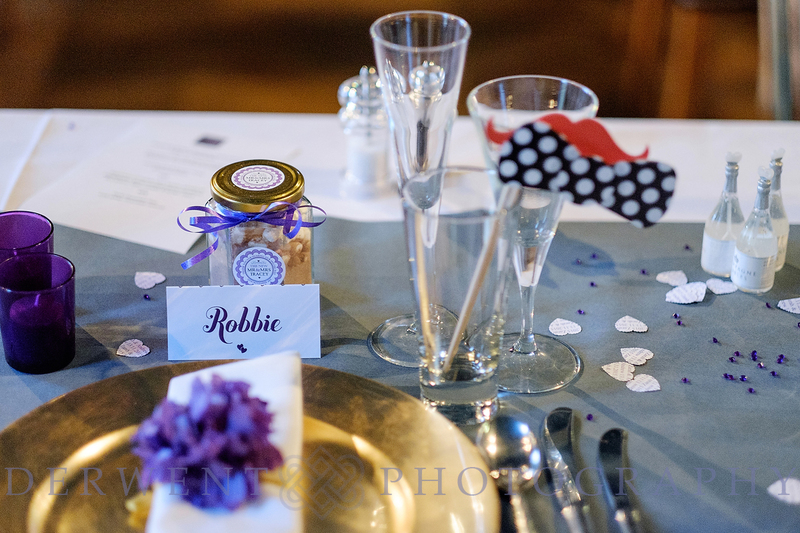 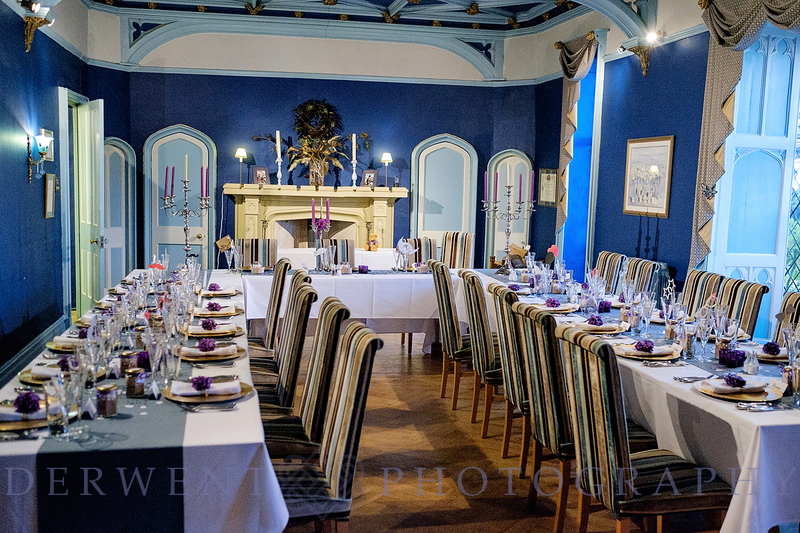 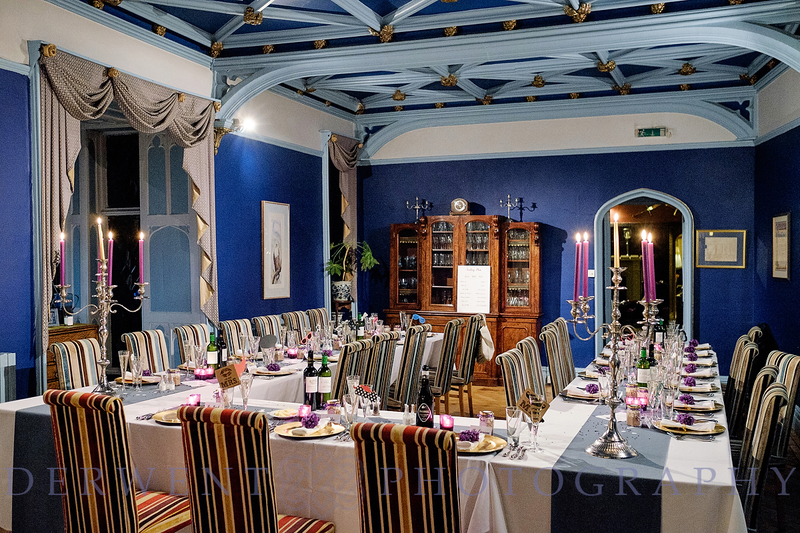 Zarah and Andrew went for a purple and gold theme for their winter wedding. 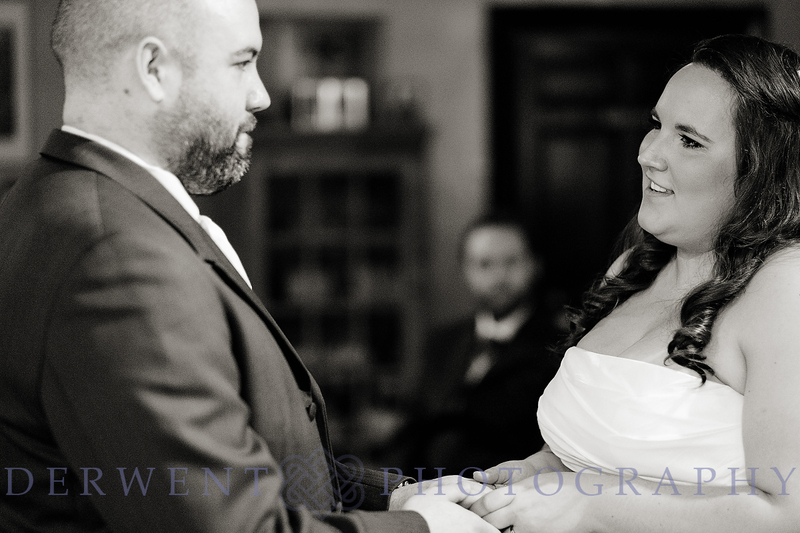 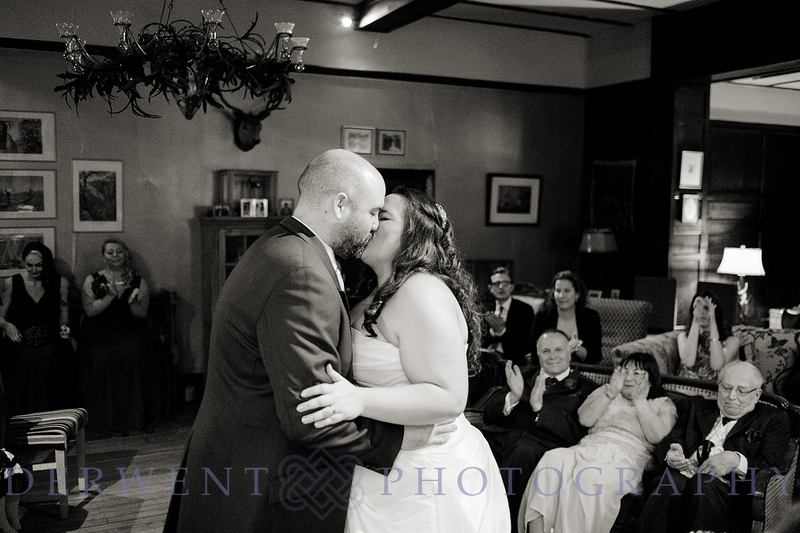 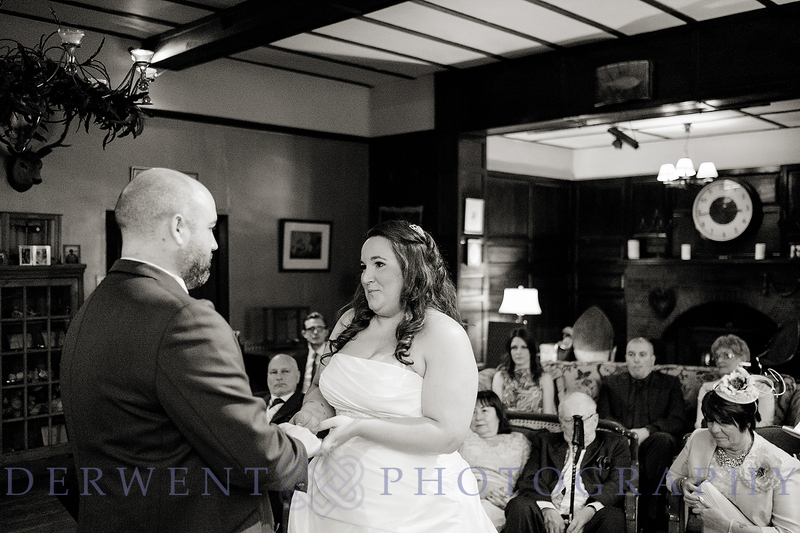 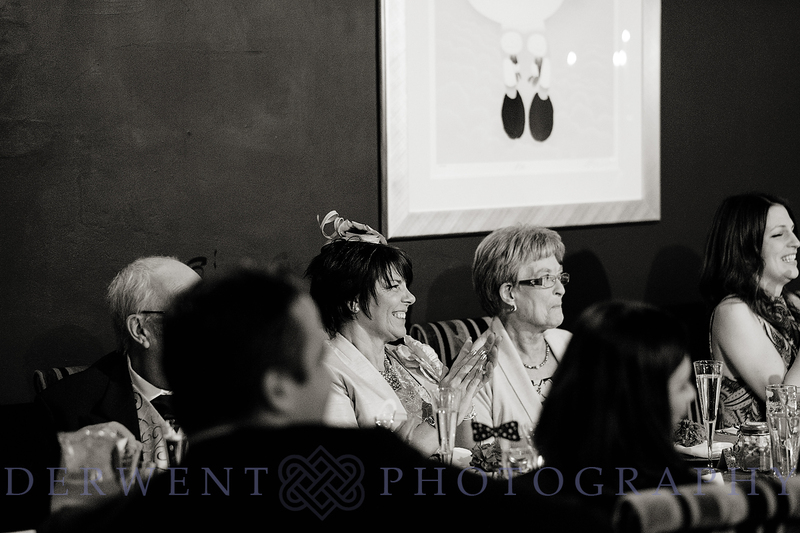 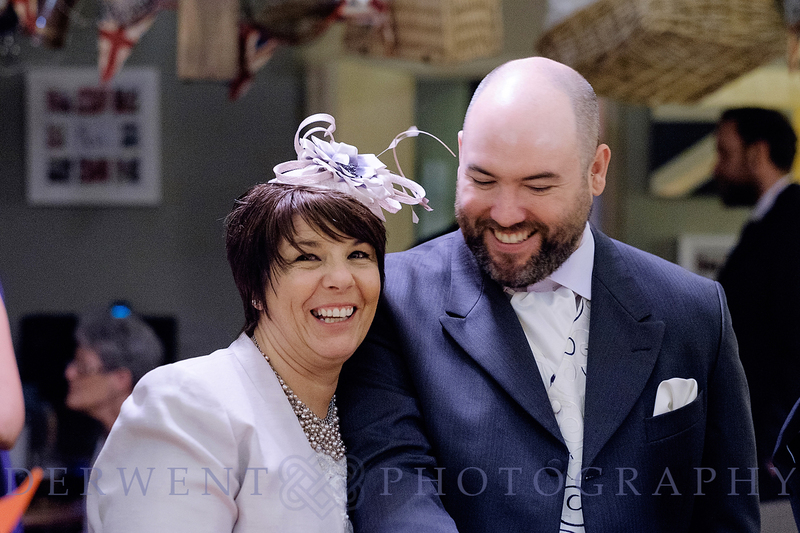 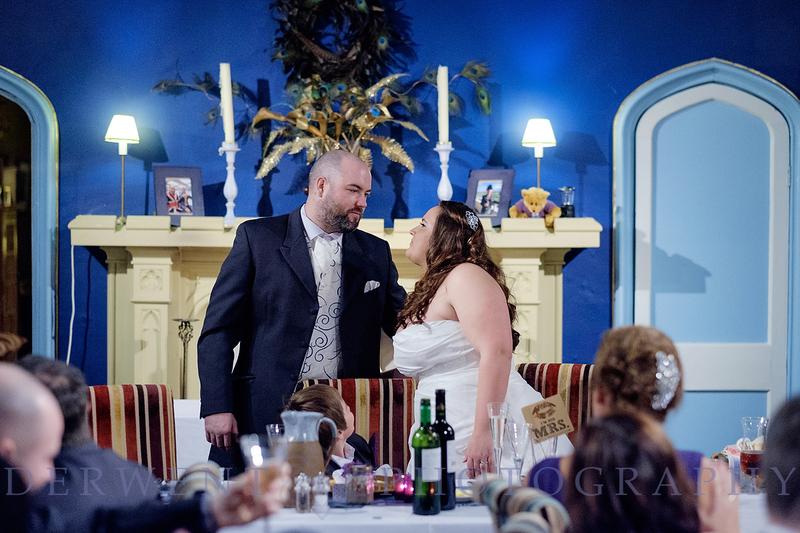 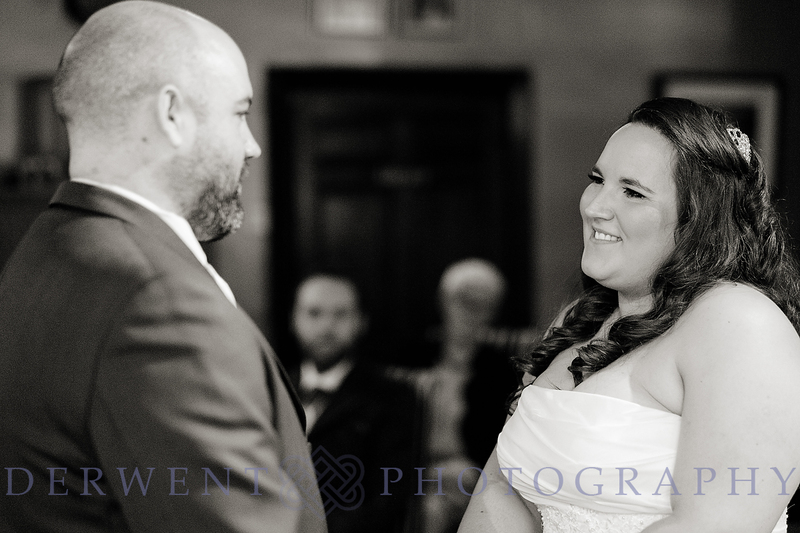 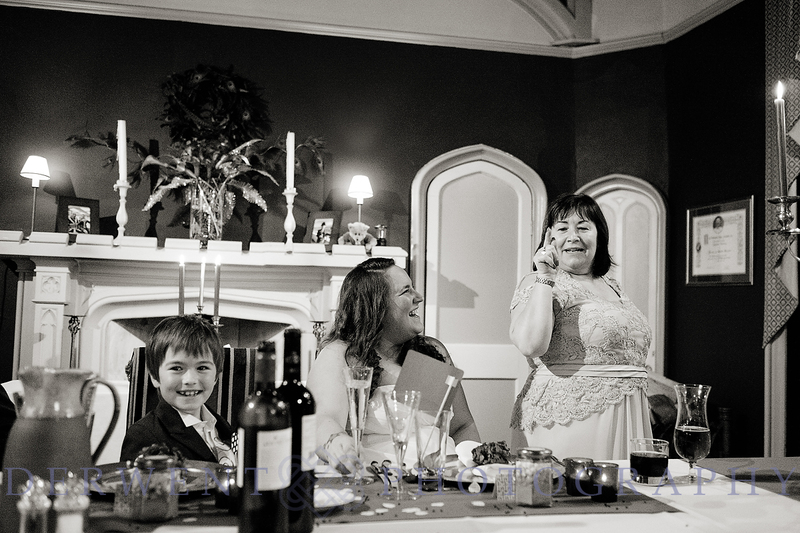 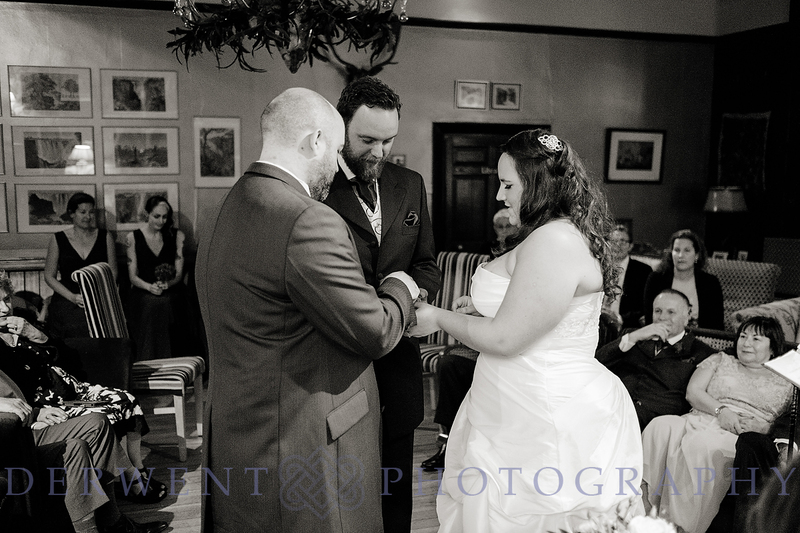 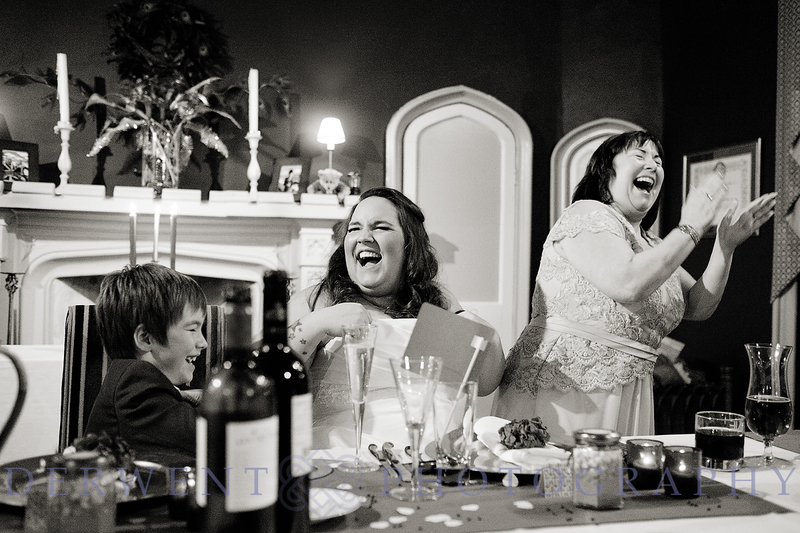 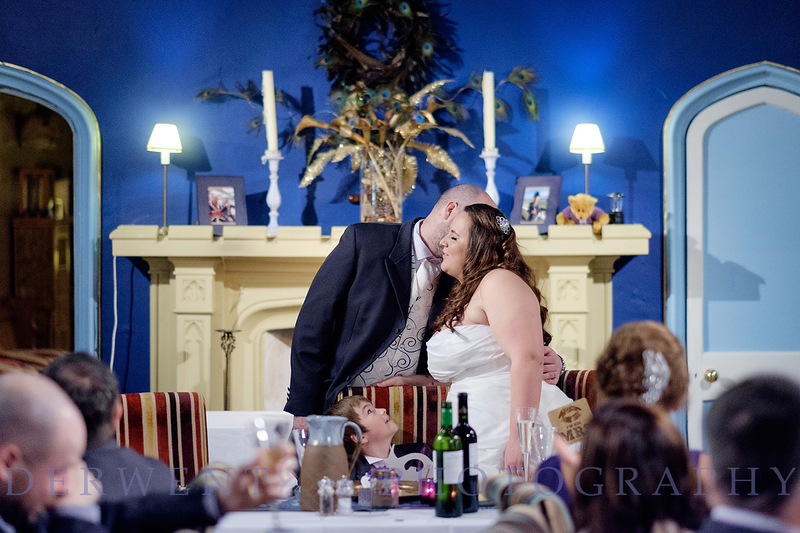 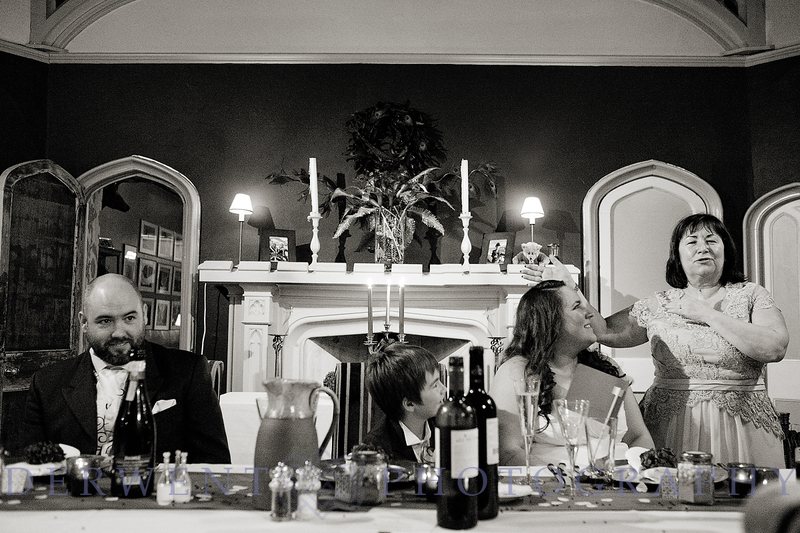 The ceremony was really relaxed, with guests sitting on comfy sofas as the couple exchanged their vows. 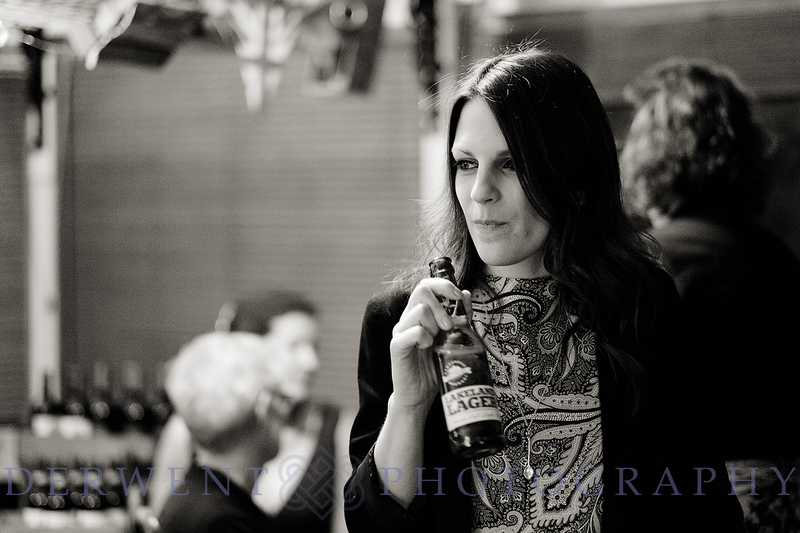 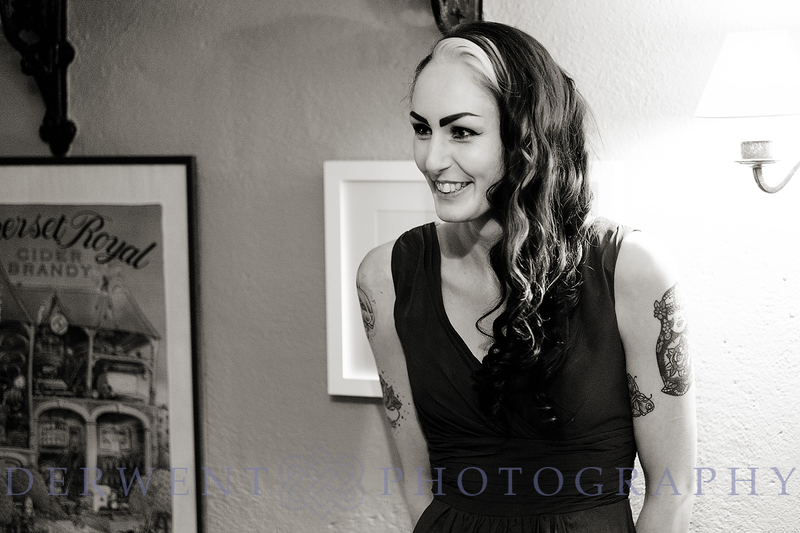 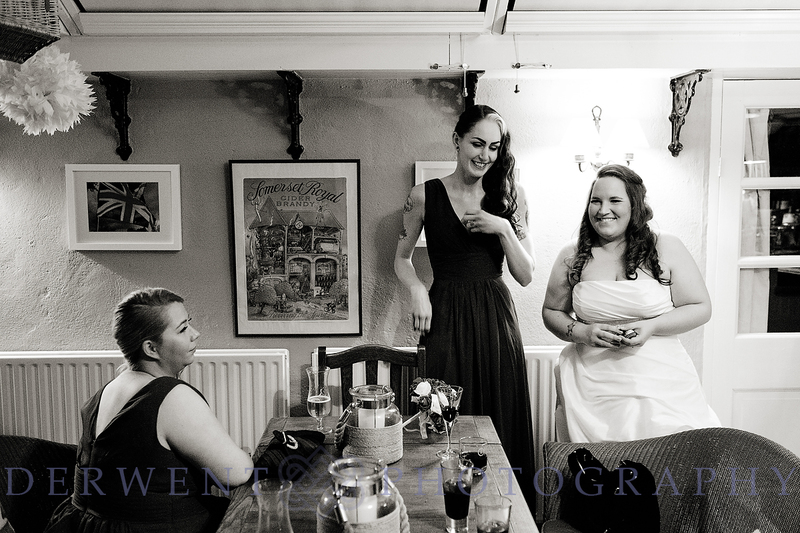 Zarah looked lovely in her A-line dress with her hair styled by a friend. 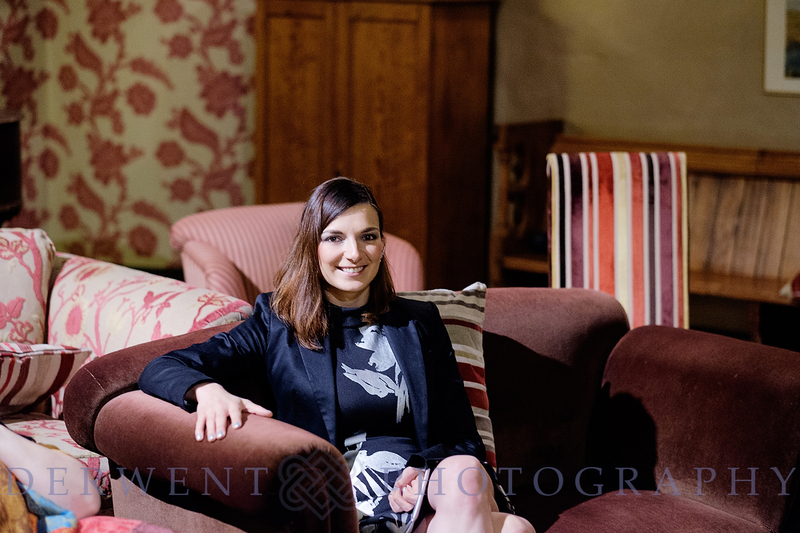 She describes herself as not much of a ‘girly girl’, so she chose a simple yet elegant dress for her day. 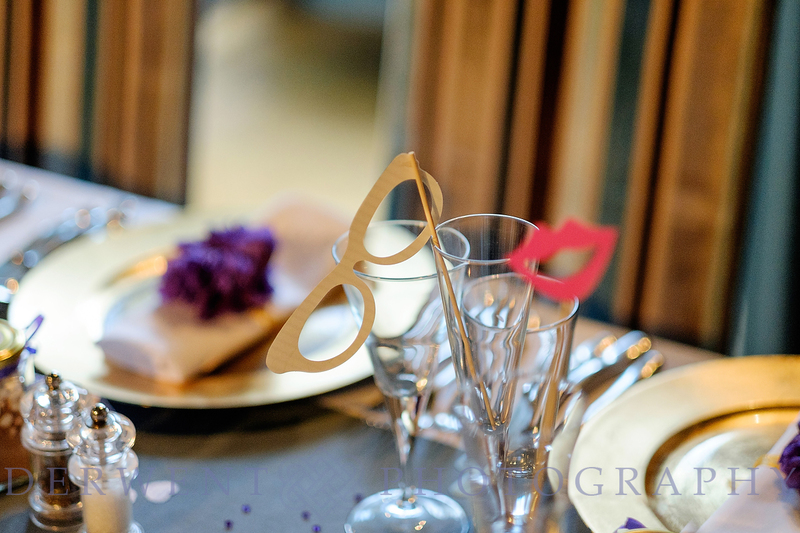 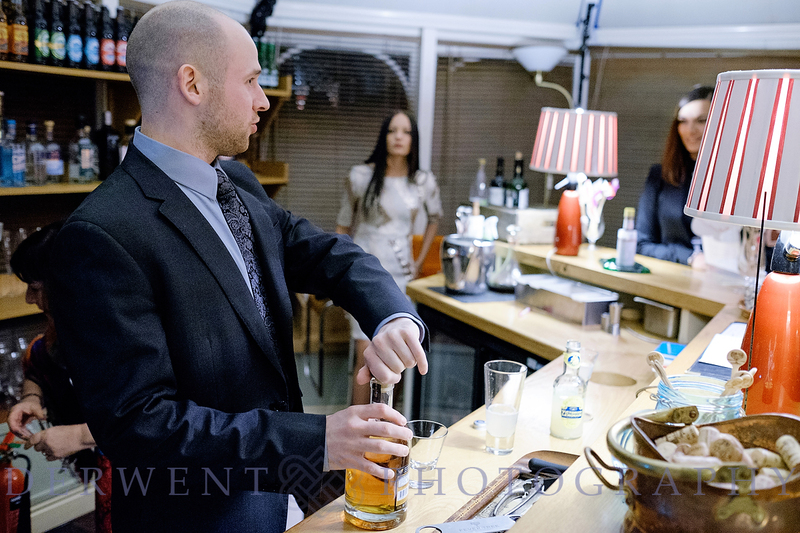 Afterwards, the guests enjoyed canapés and drinks from the self-service conservatory bar, whilst having good fun with the various false moustaches and glasses. 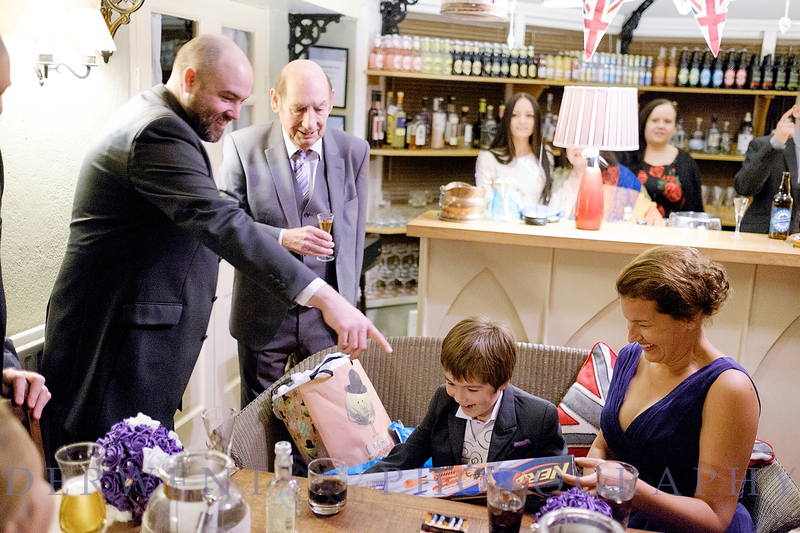 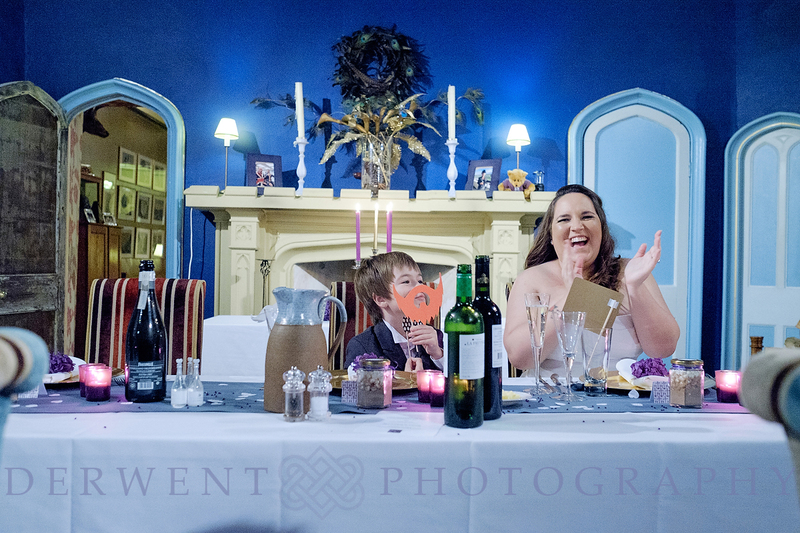 Meanwhile, the couple’s little boy Robbie was more than entertained with his surprise gift of a Nerf gun! 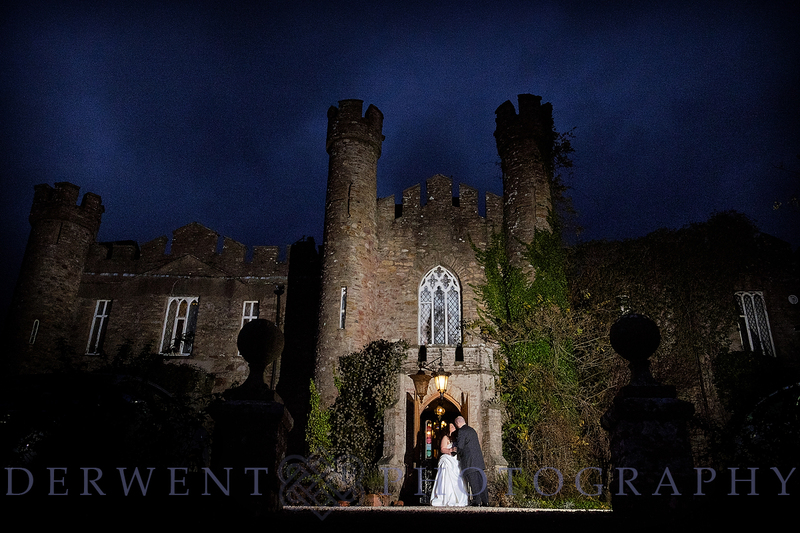 As it gets dark, the castle looks really dramatic all lit up. 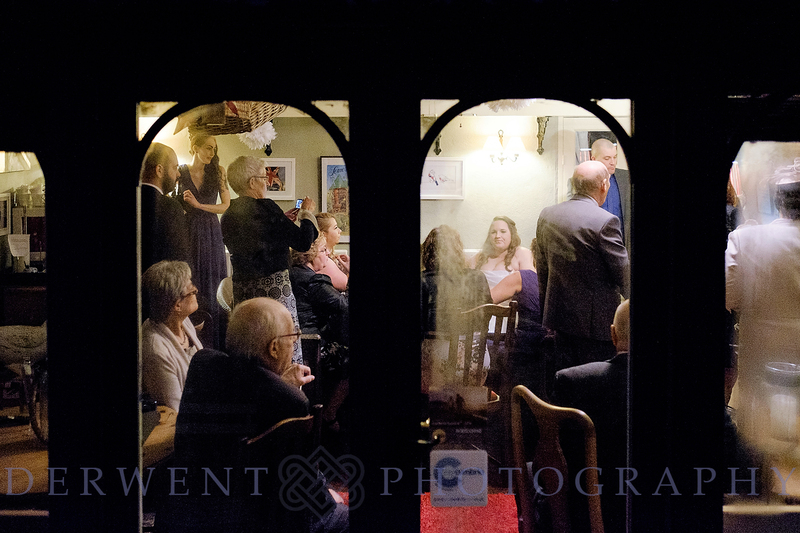 This was a great opportunity to get some shots of the couple and their guests outside. 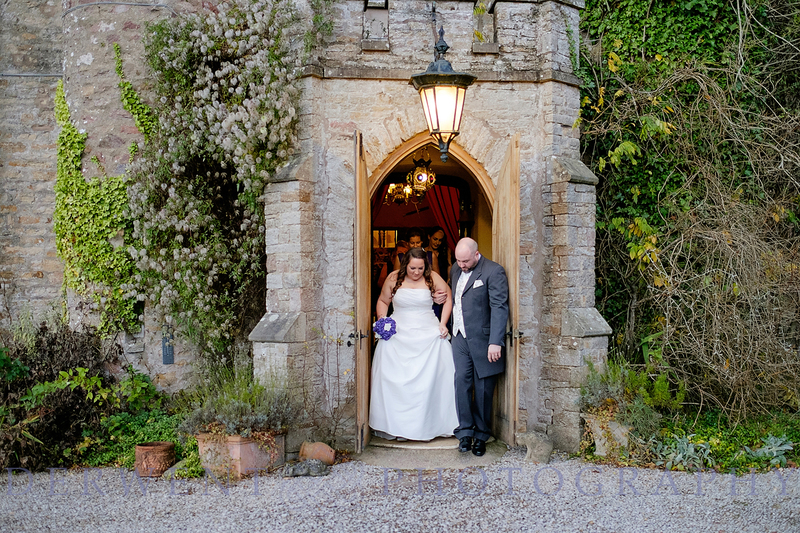 Despite the November temperatures, the rain held off and the sky was a perfect dark blue for the photos. 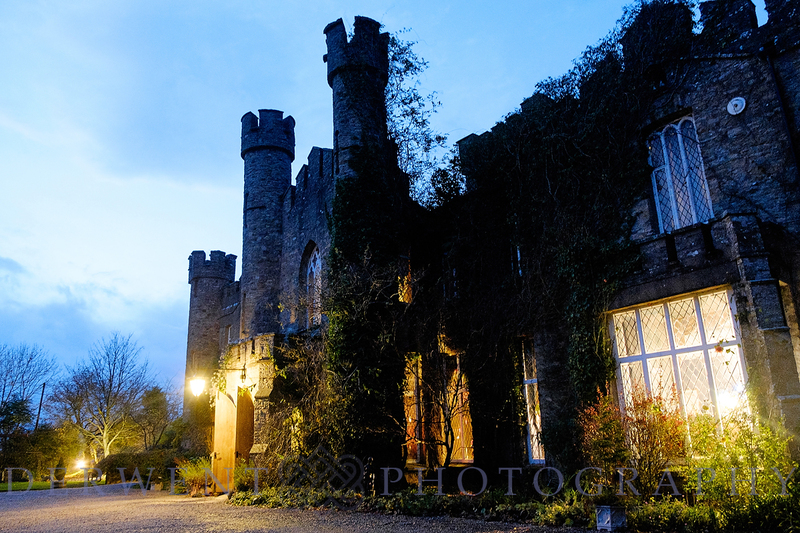 The building has a very gothic feel to it, especially in winter. 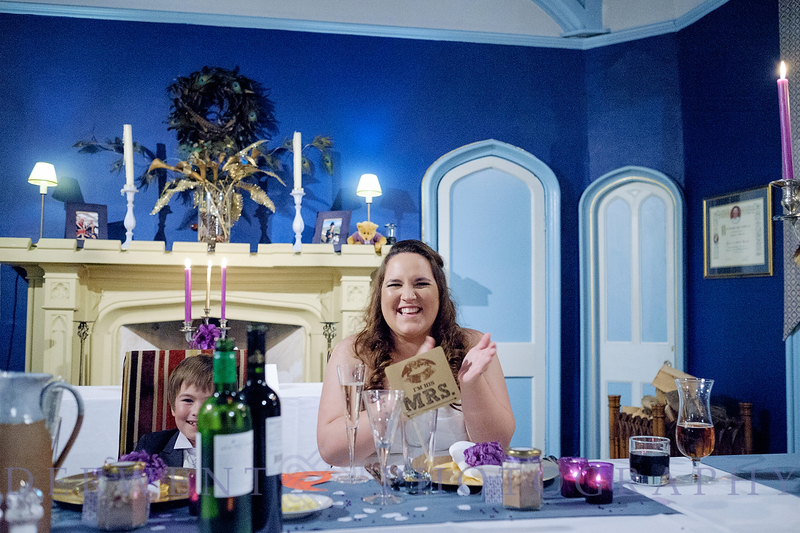 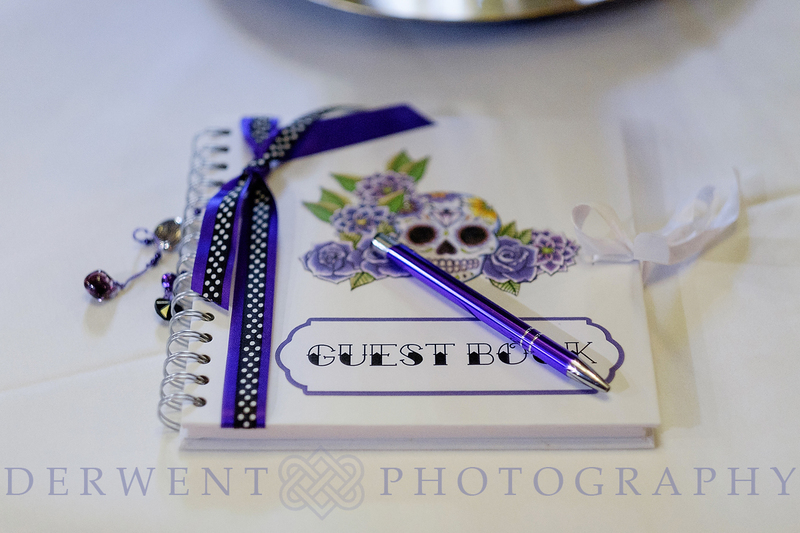 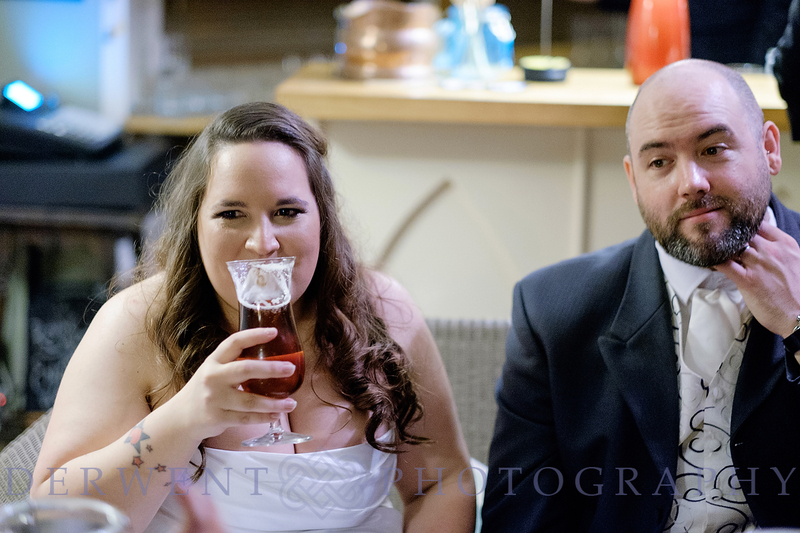 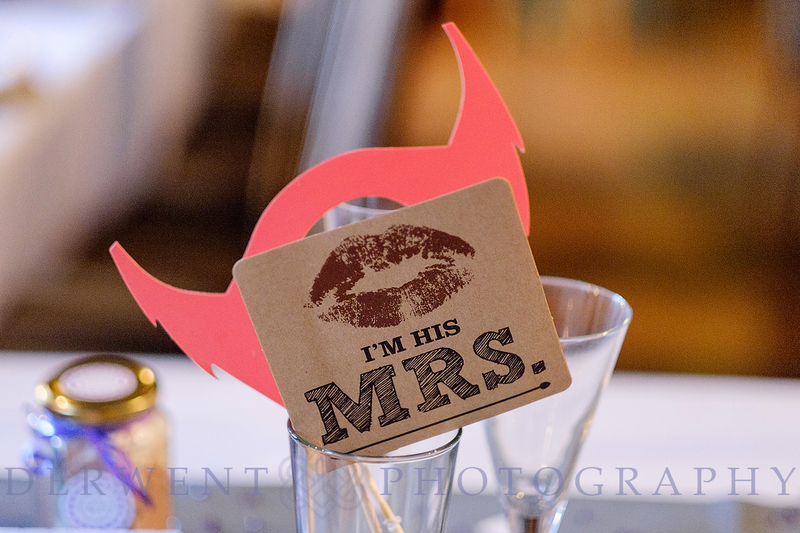 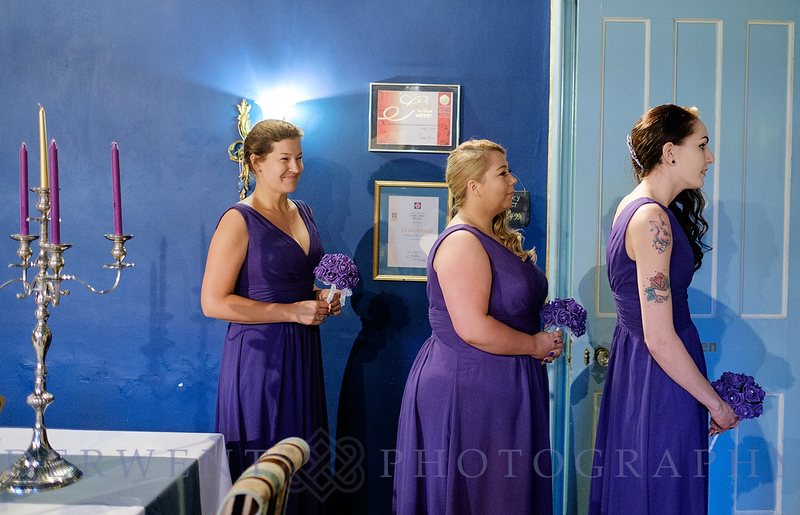 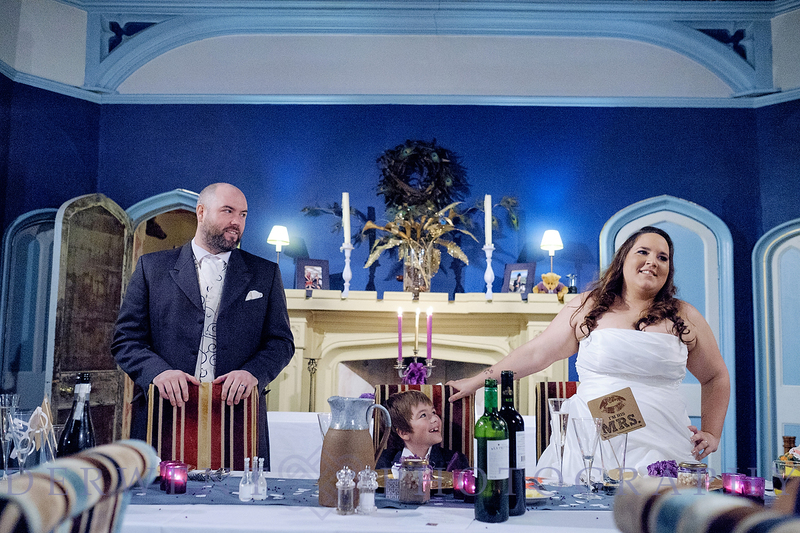 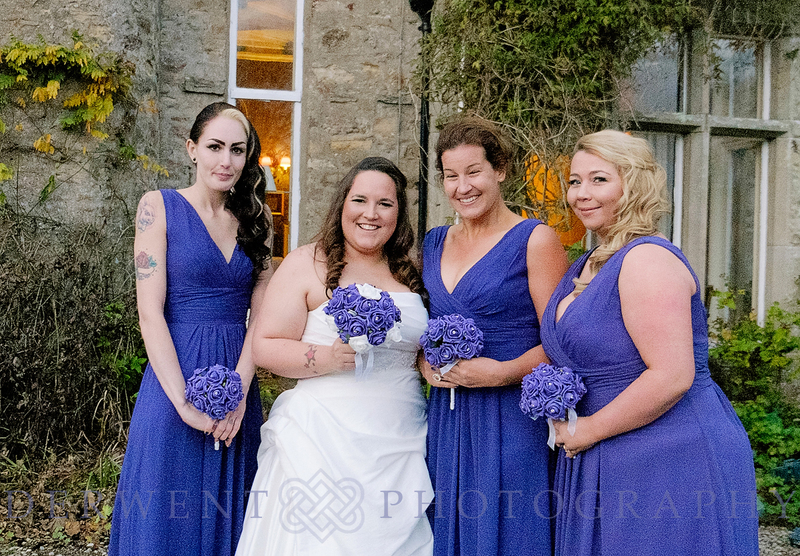 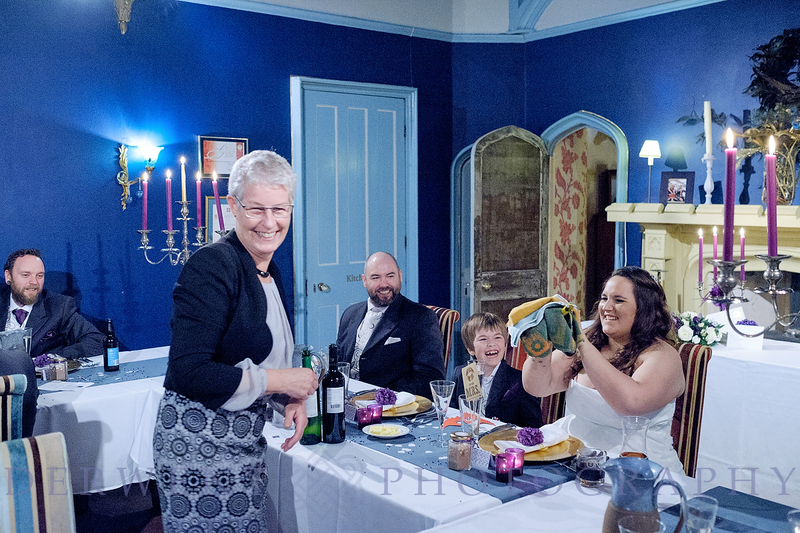 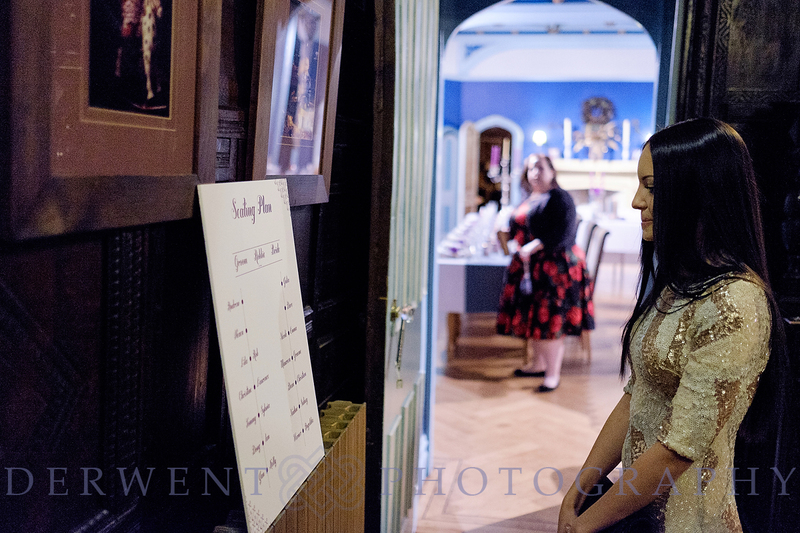 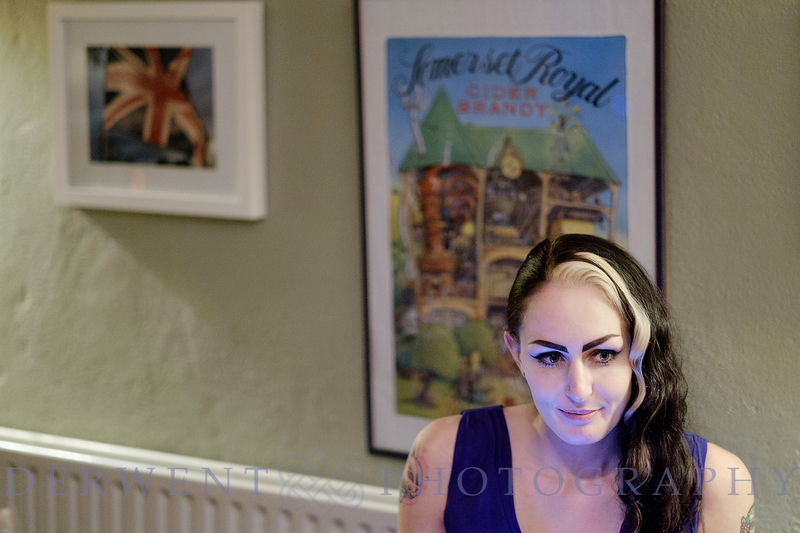 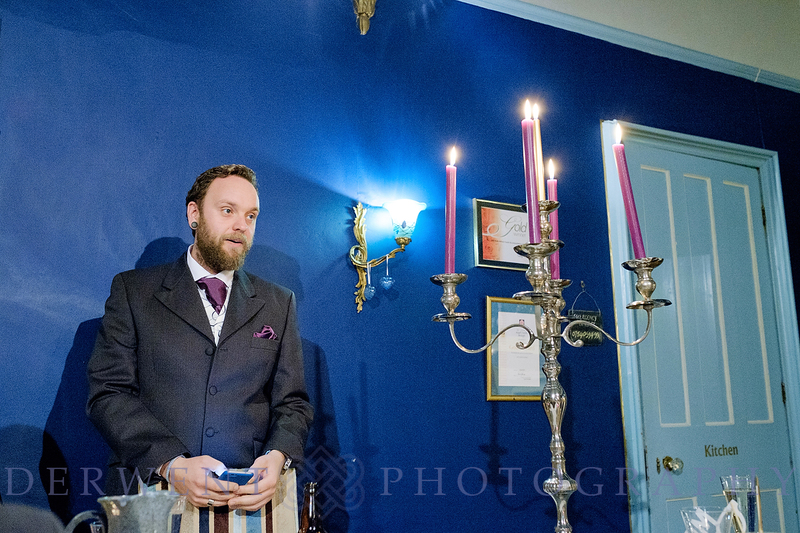 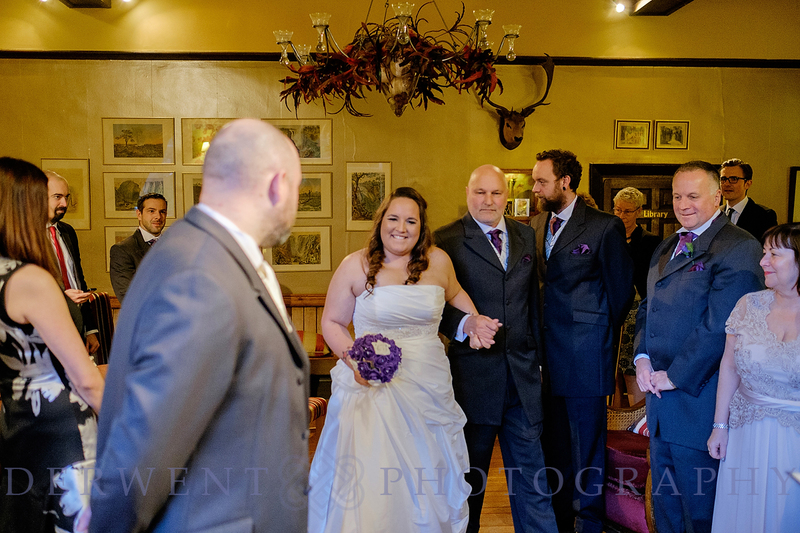 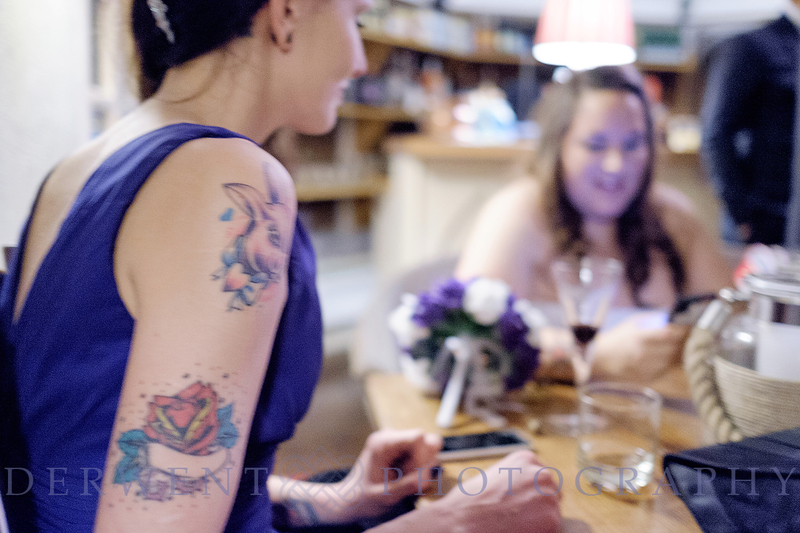 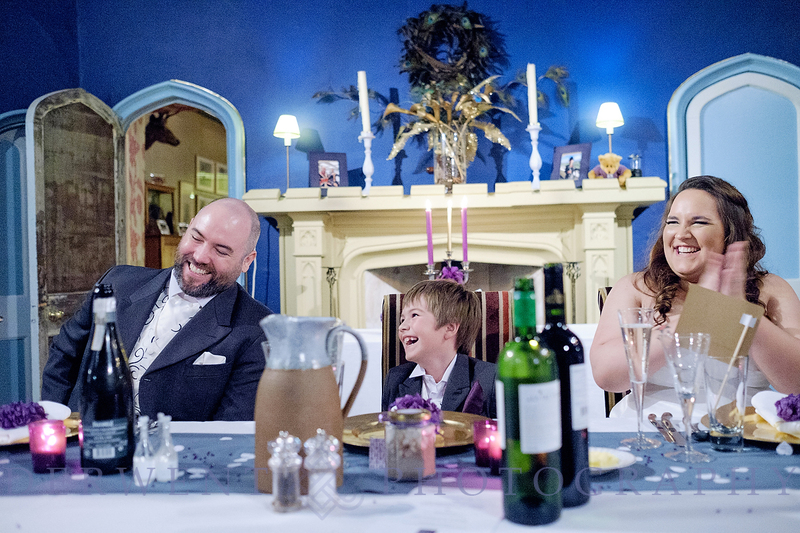 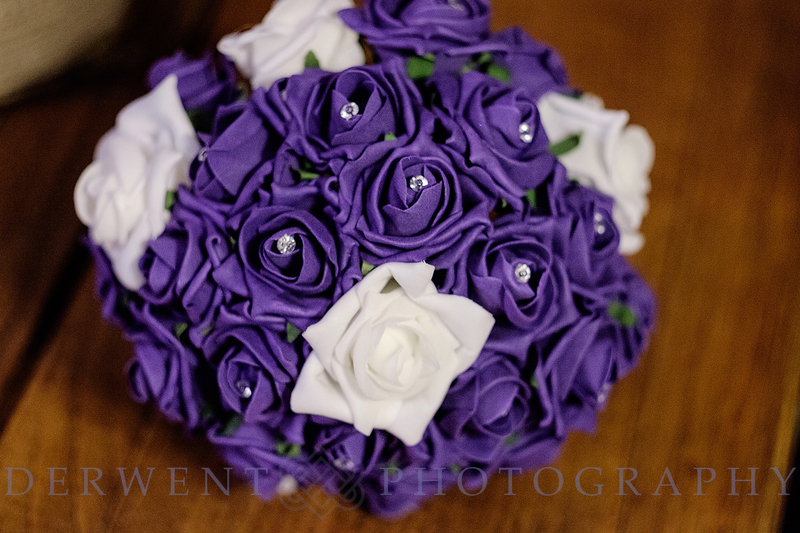 Judging by their skull-themed guest book and purple colour scheme, I think it suited Zarah and Andrew perfectly! 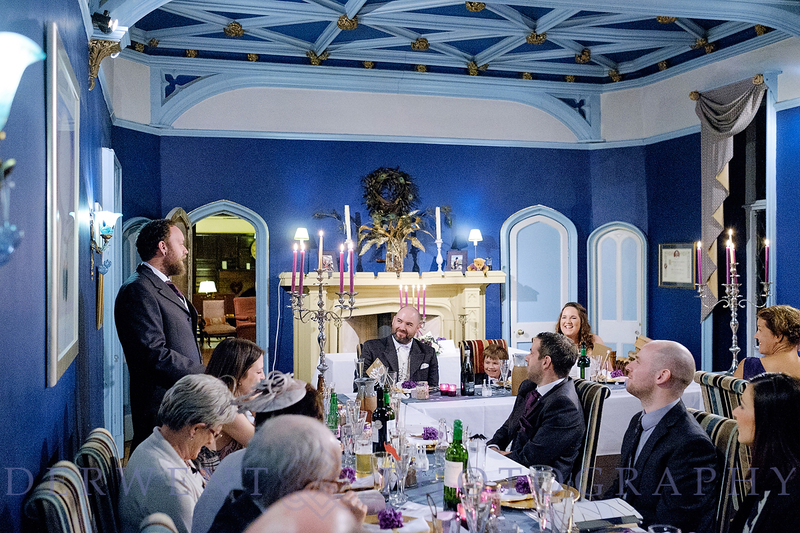 After dinner and speeches in the dining room, the couple decided to add a personal touch by having their own playlist for the evening entertainment. 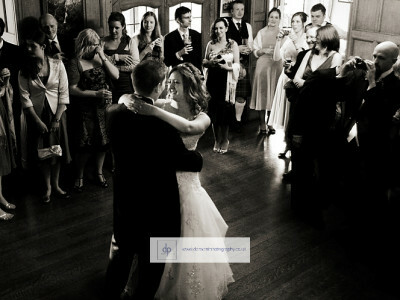 Their first dance was I Wanna Grow Old With You, from The Wedding Singer, very apt! 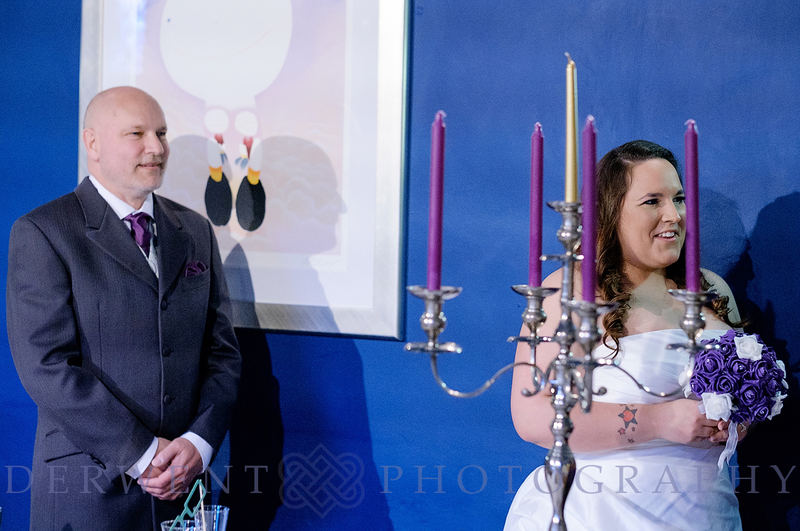 Congratulations Zarah and Andrew on a really lovely day! 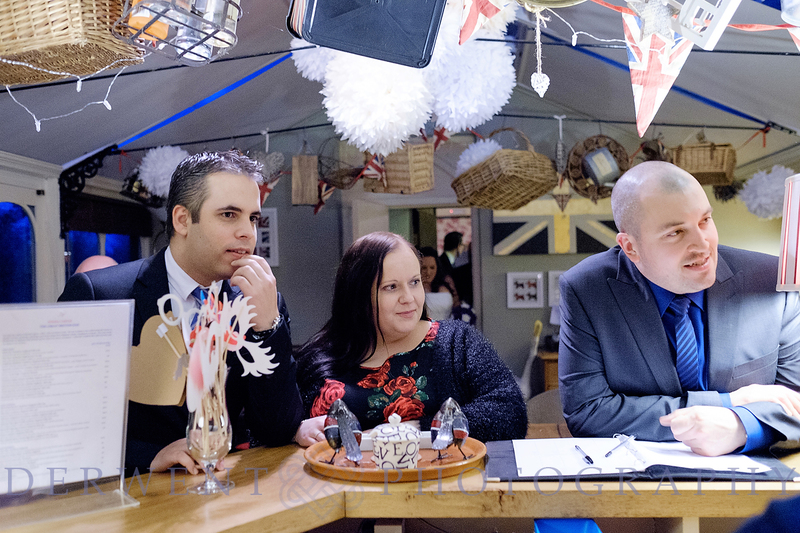 Zoe and Stuart with twin baby girl’s, Mia and Brooke. 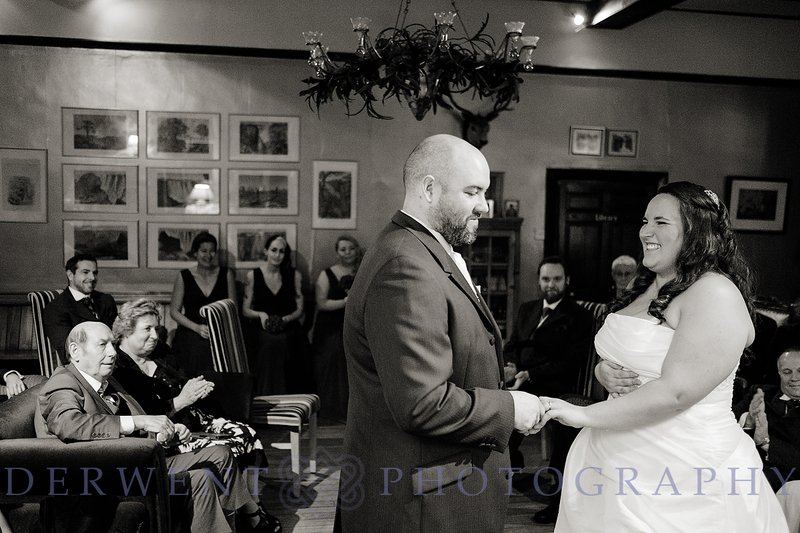 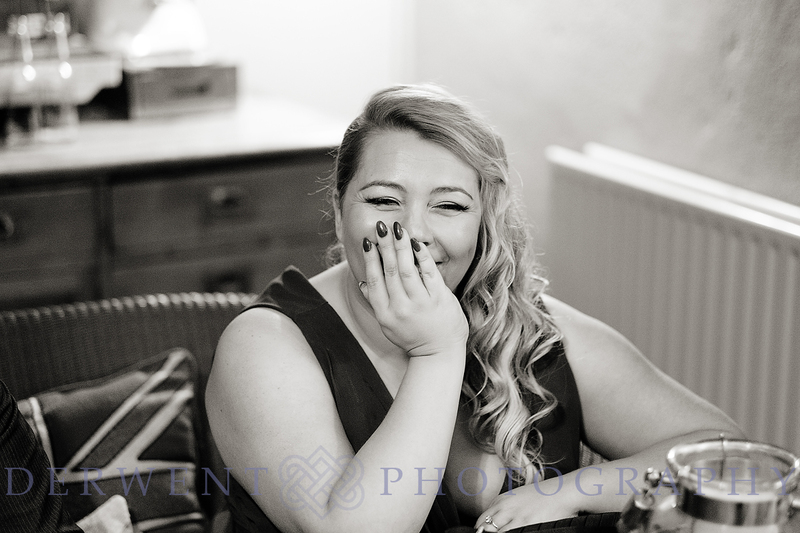 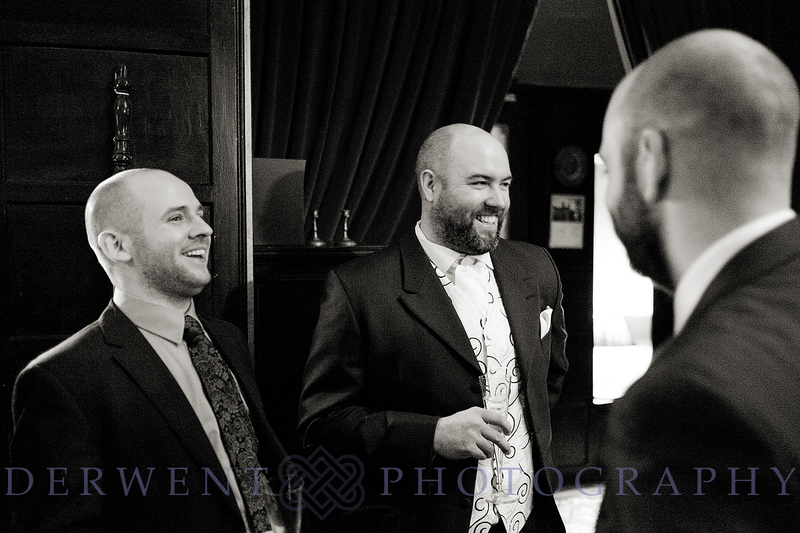 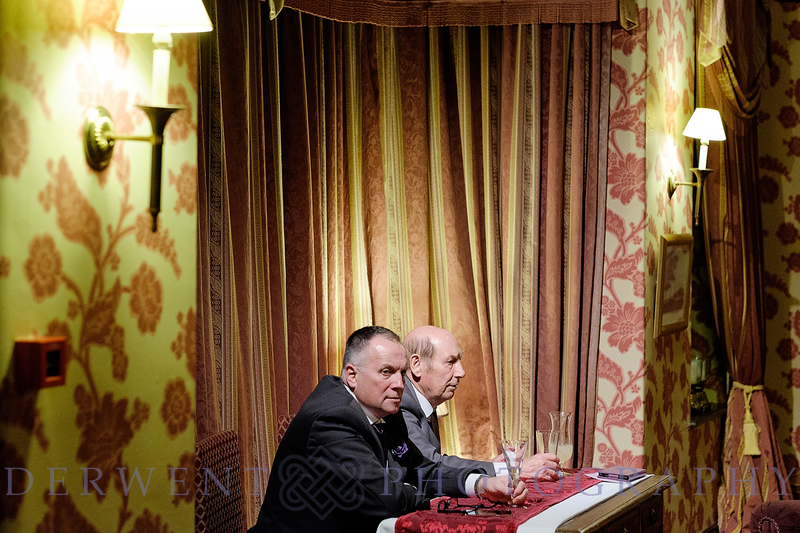 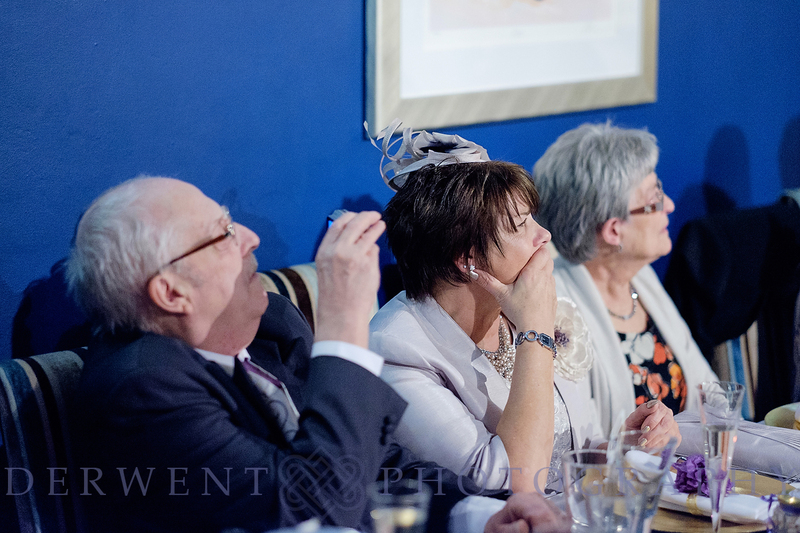 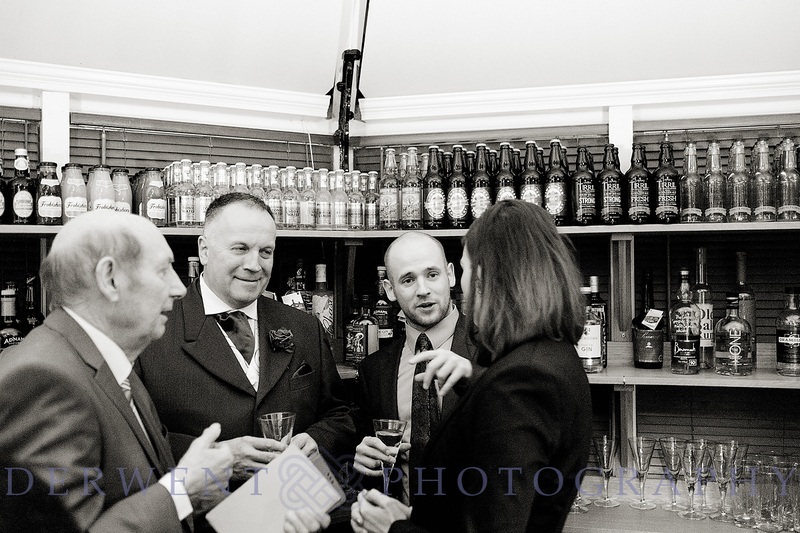 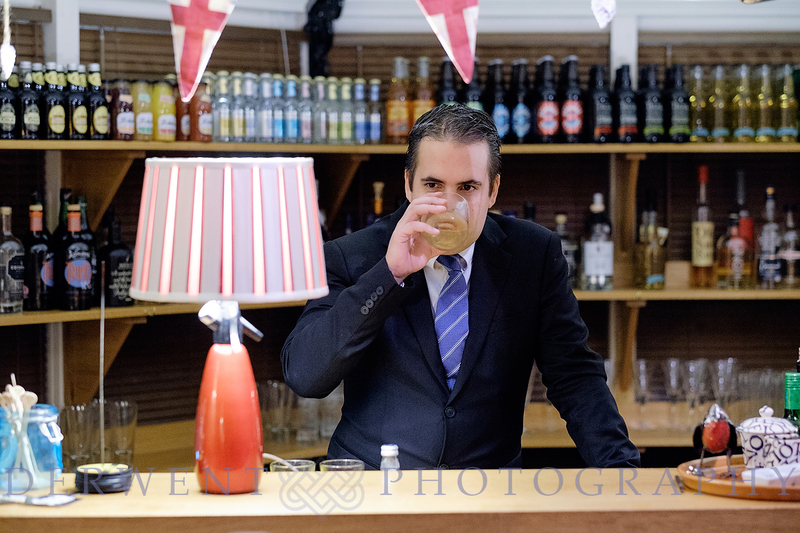 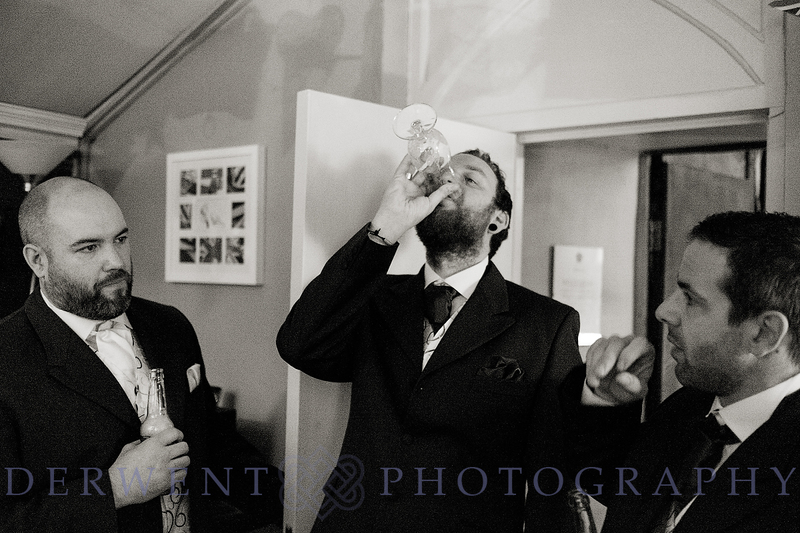 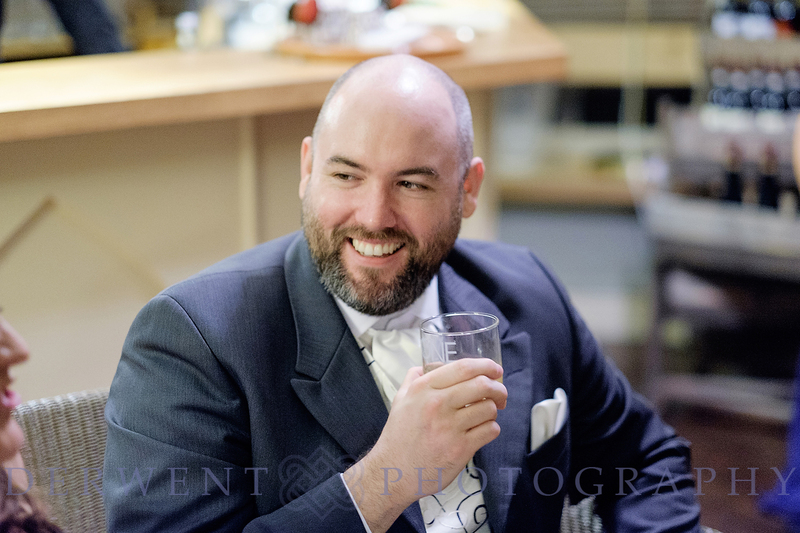 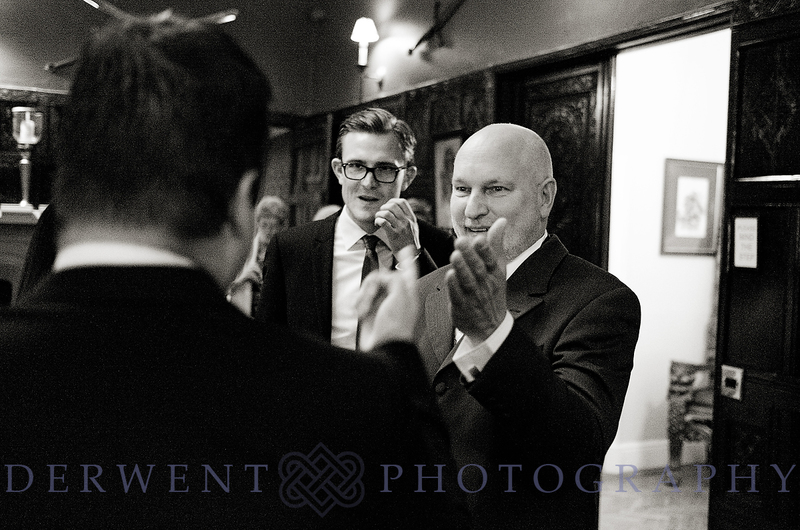 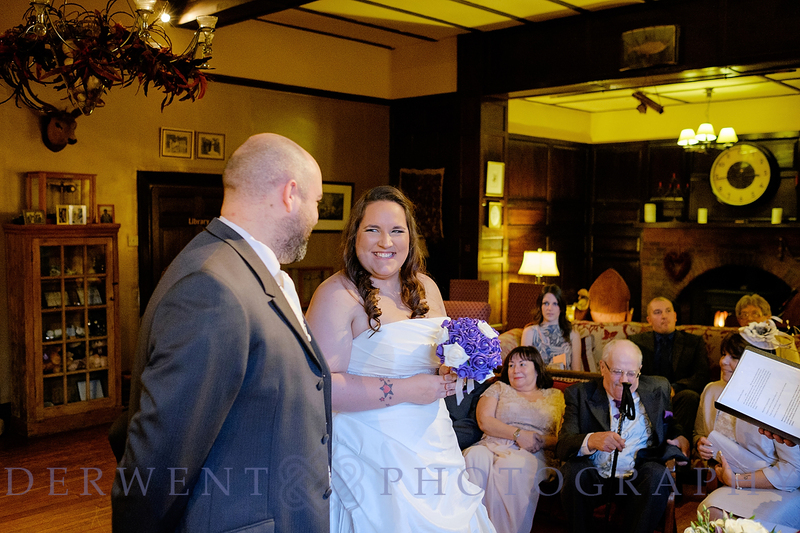 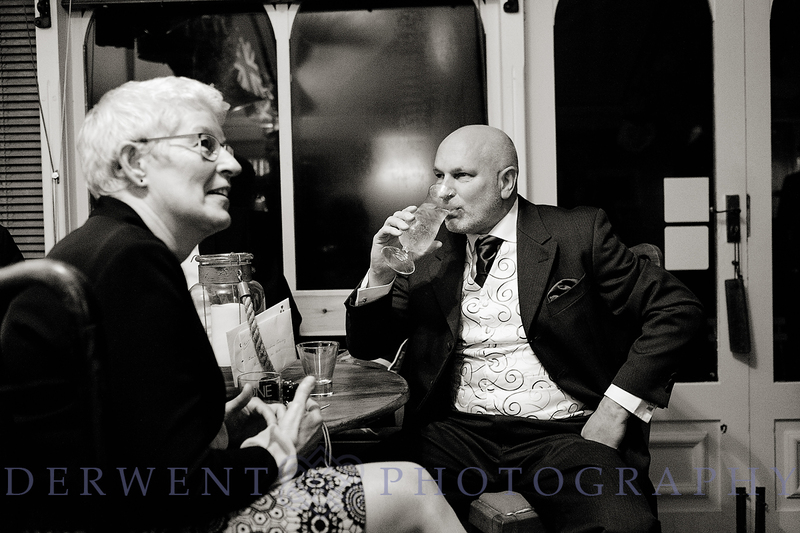 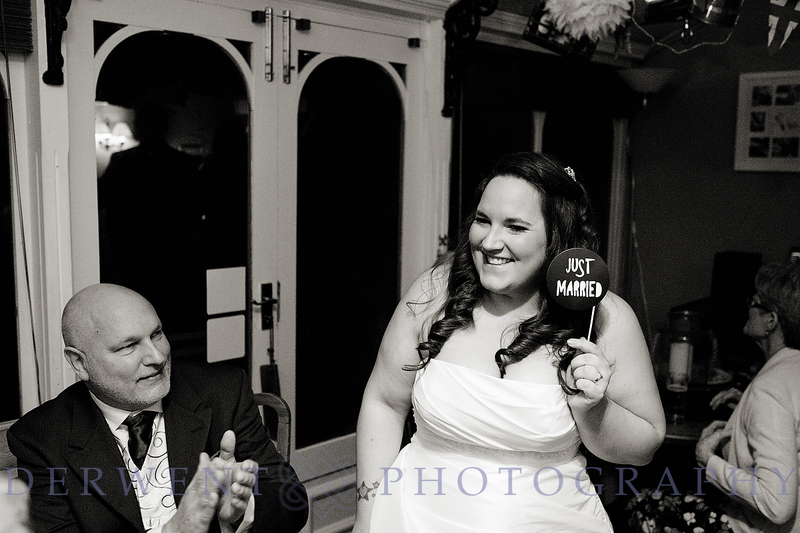 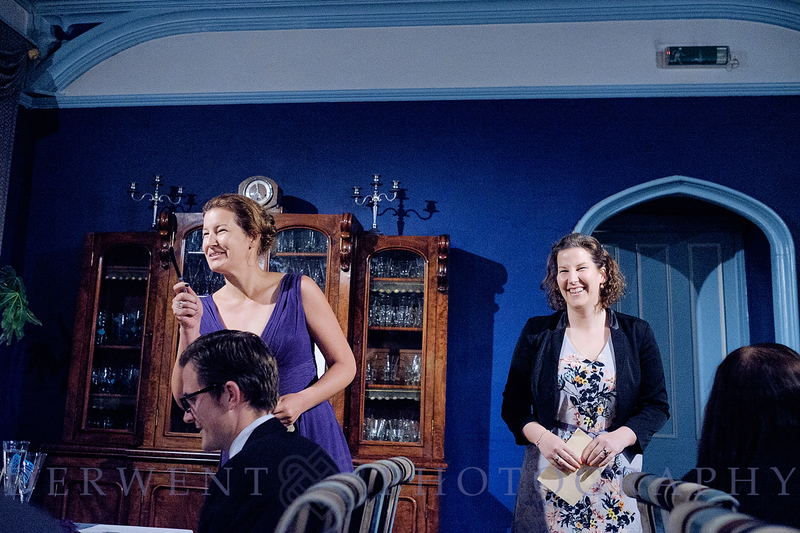 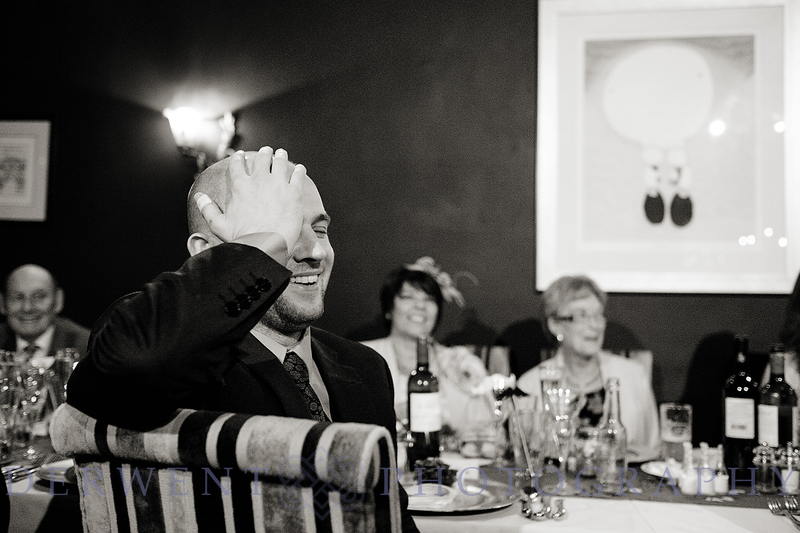 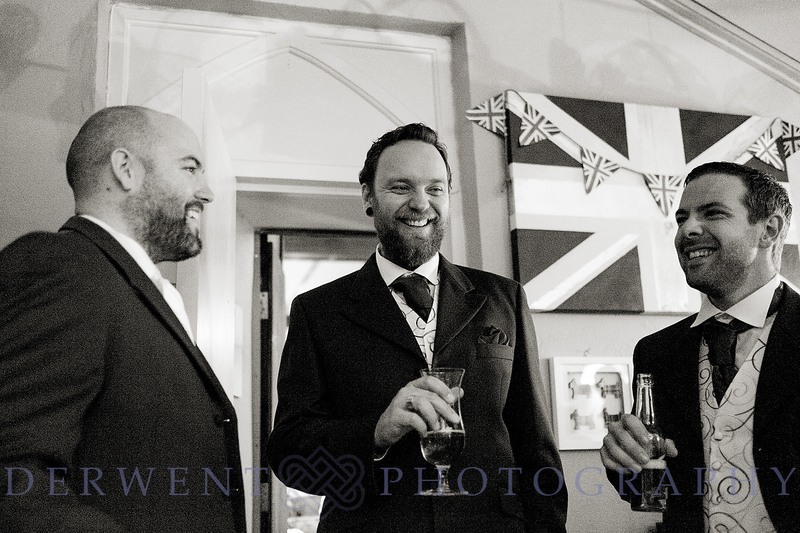 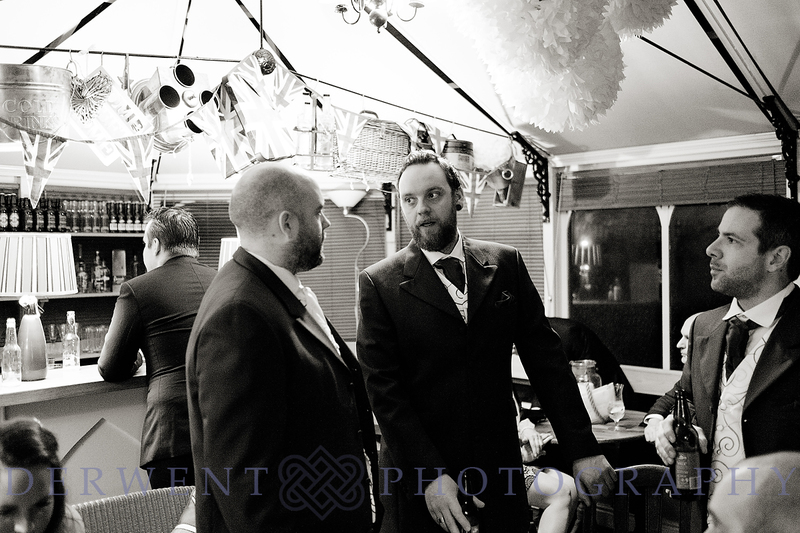 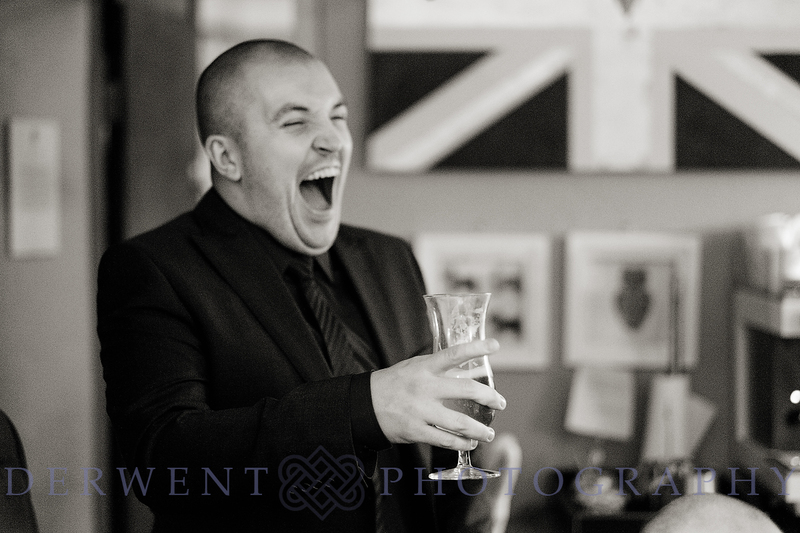 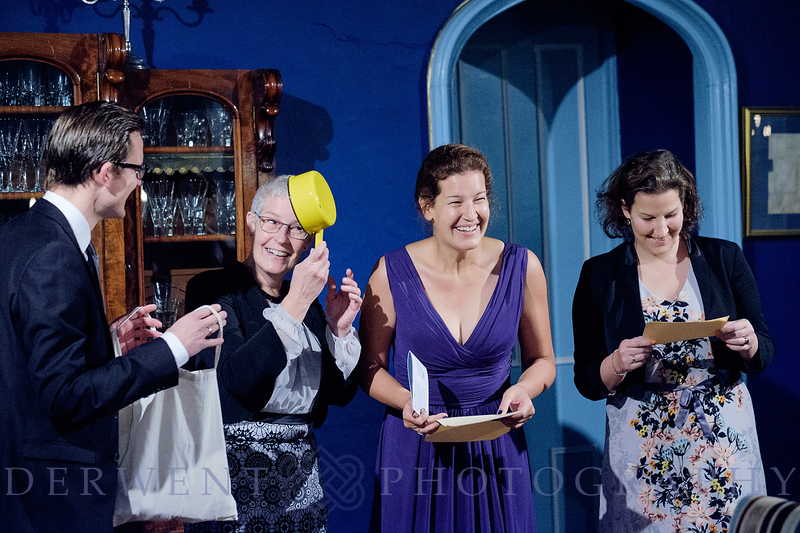 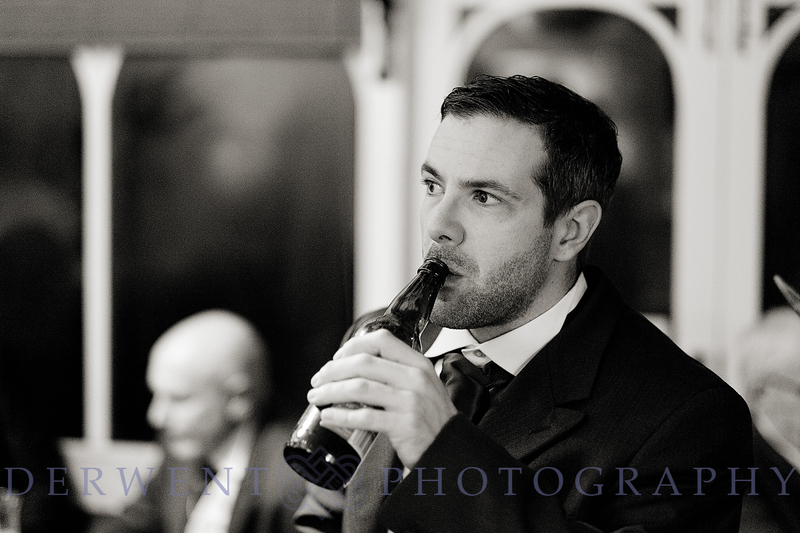 Arran and Tristan’s wedding at The Cragwood Hotel, Windermere.